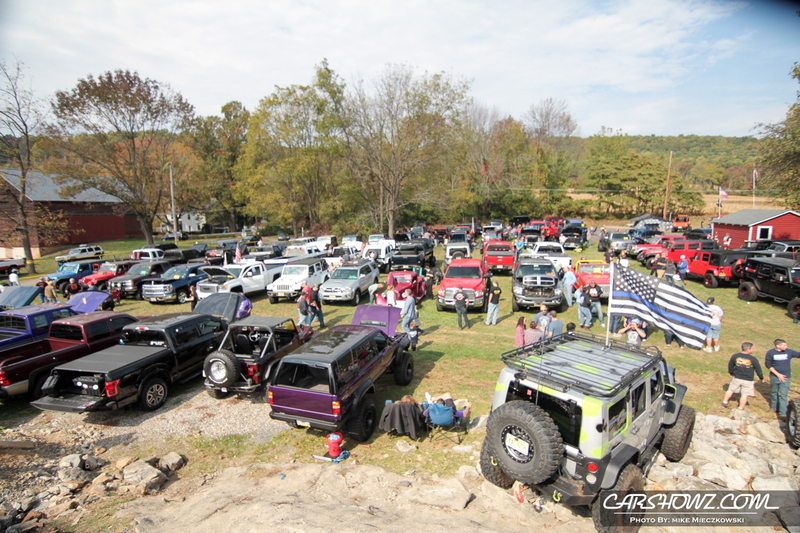 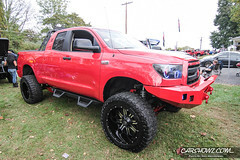 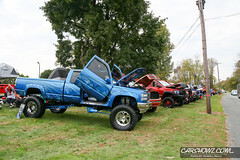 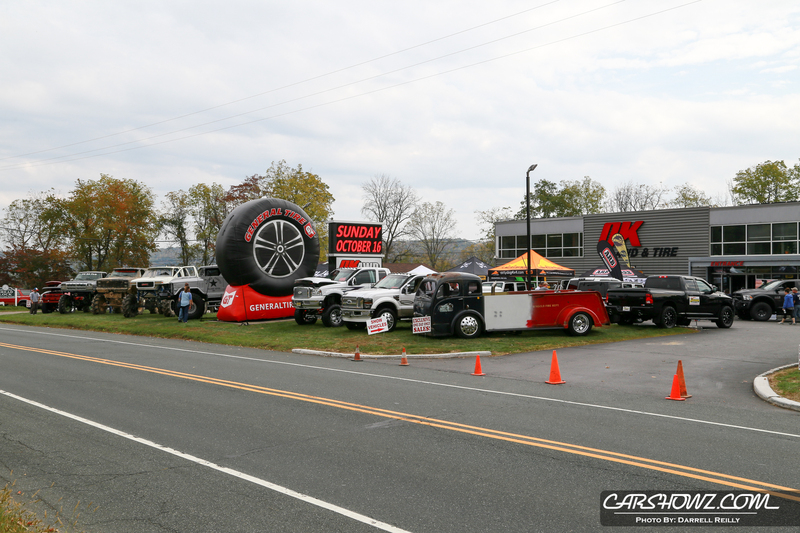 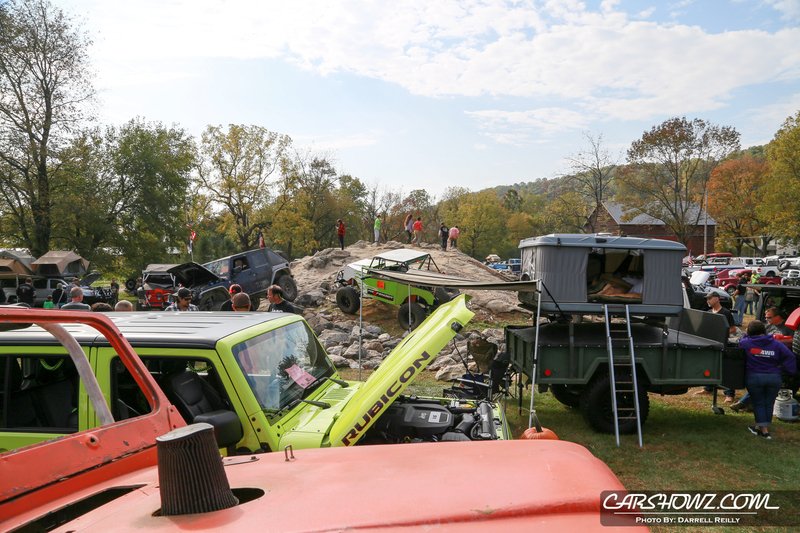 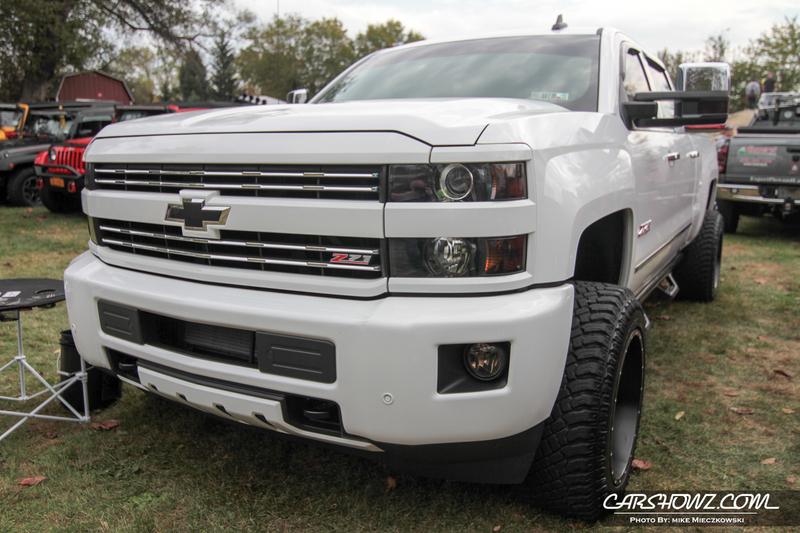 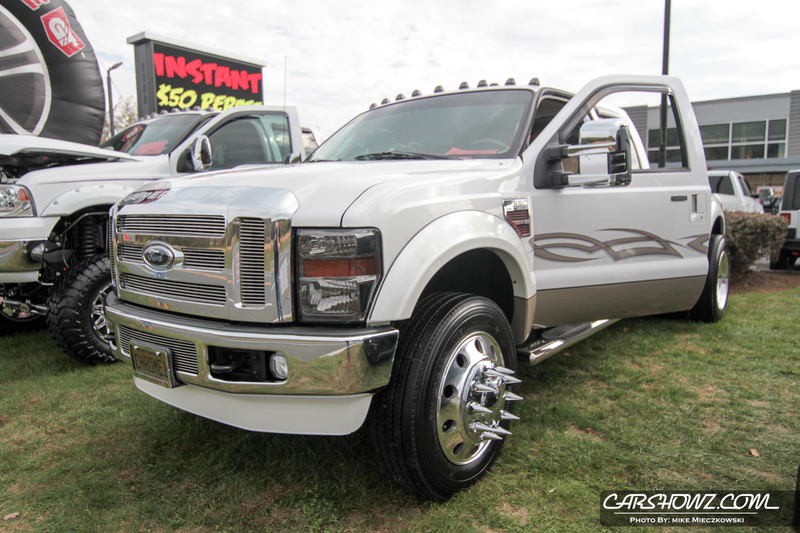 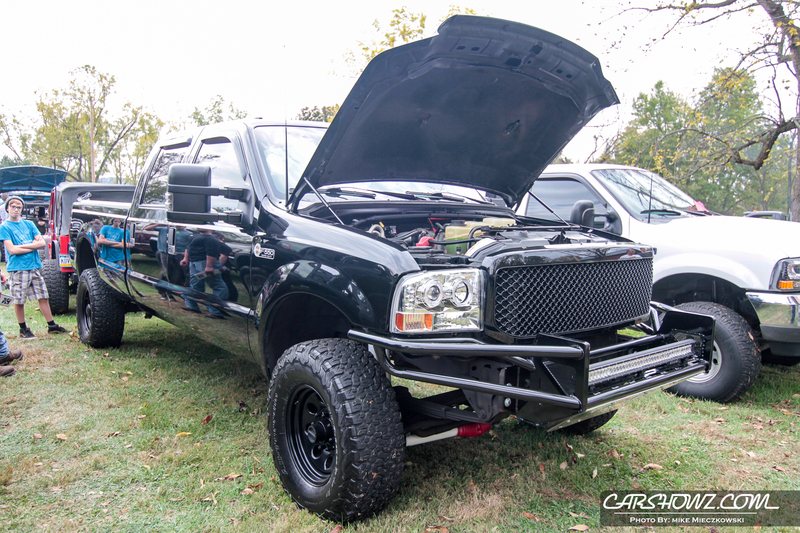 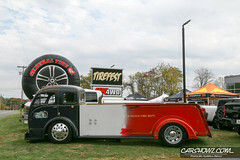 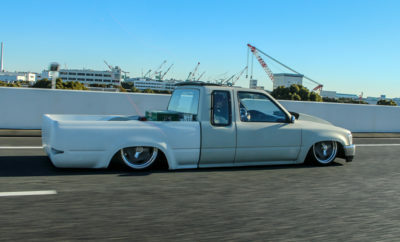 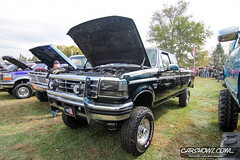 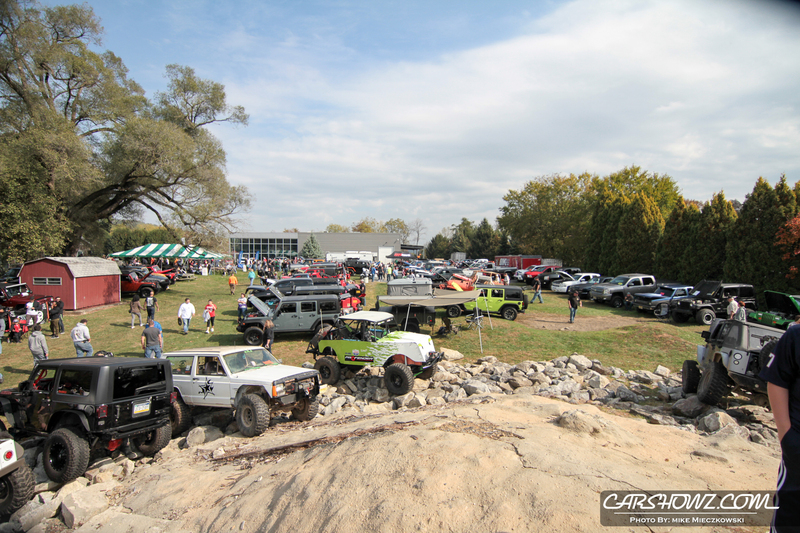 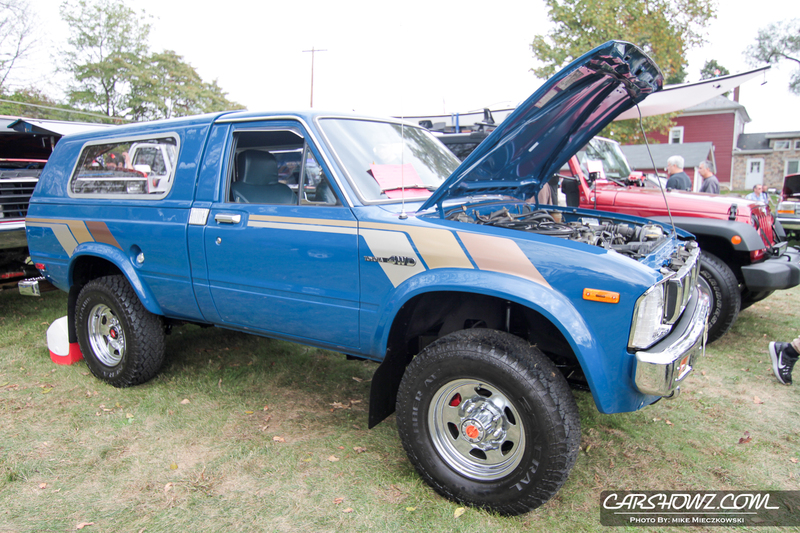 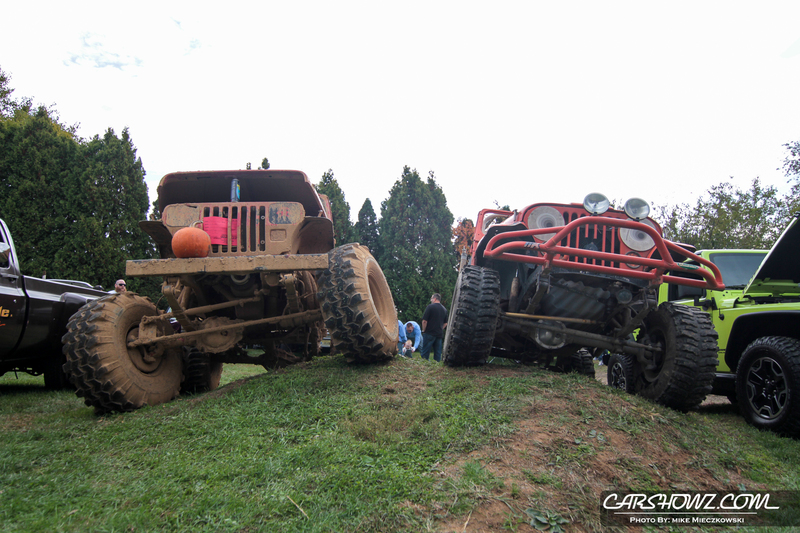 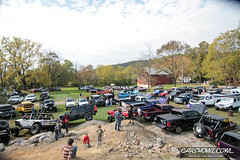 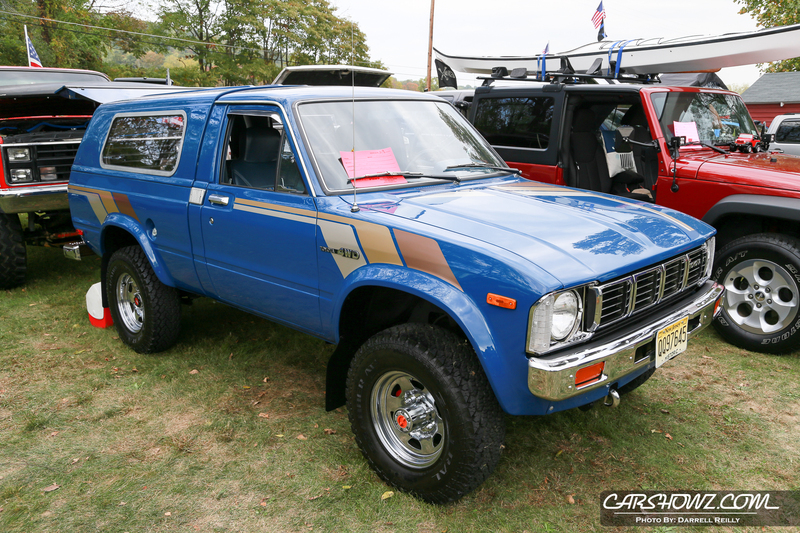 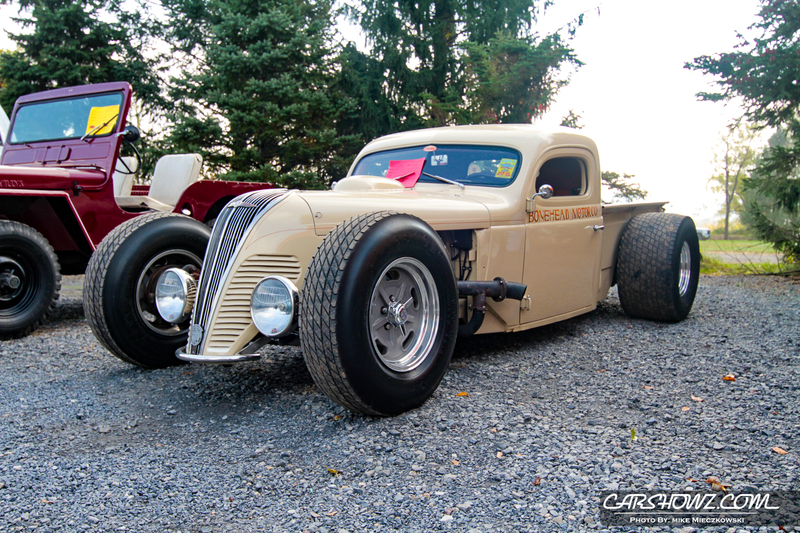 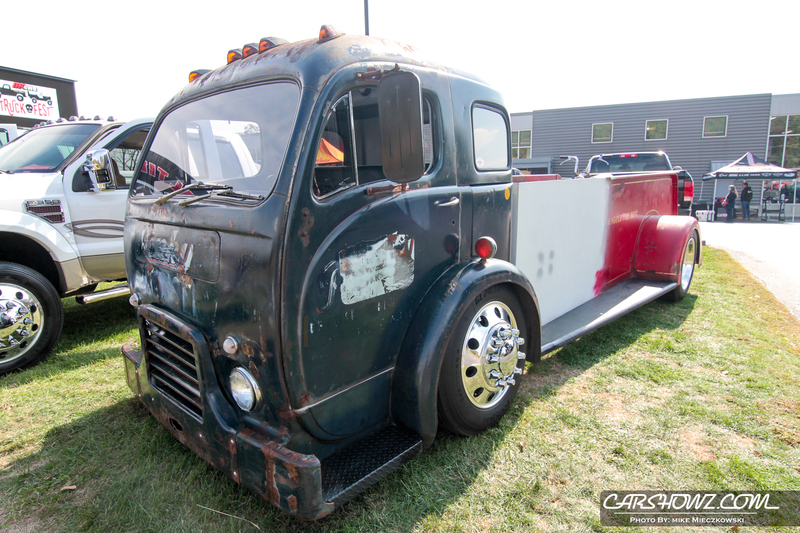 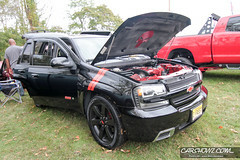 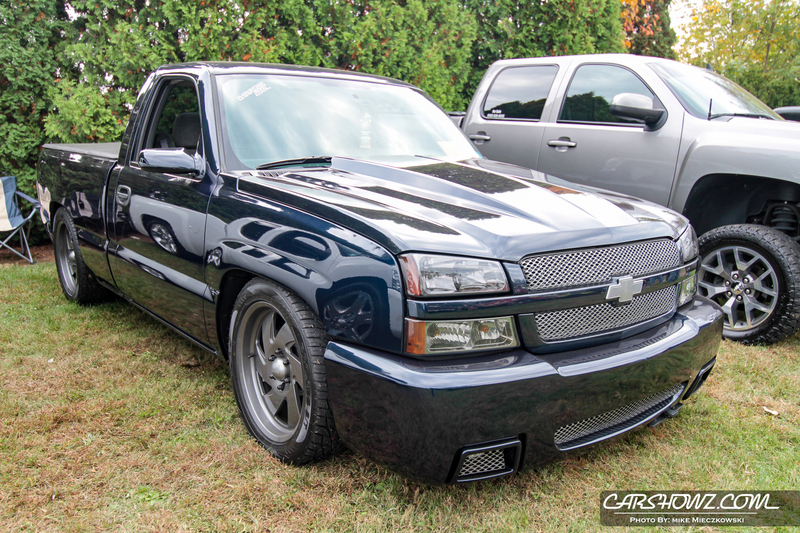 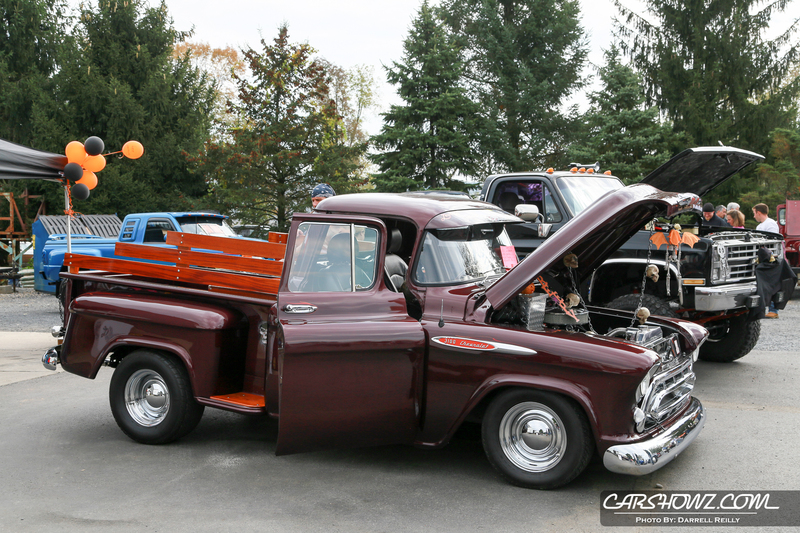 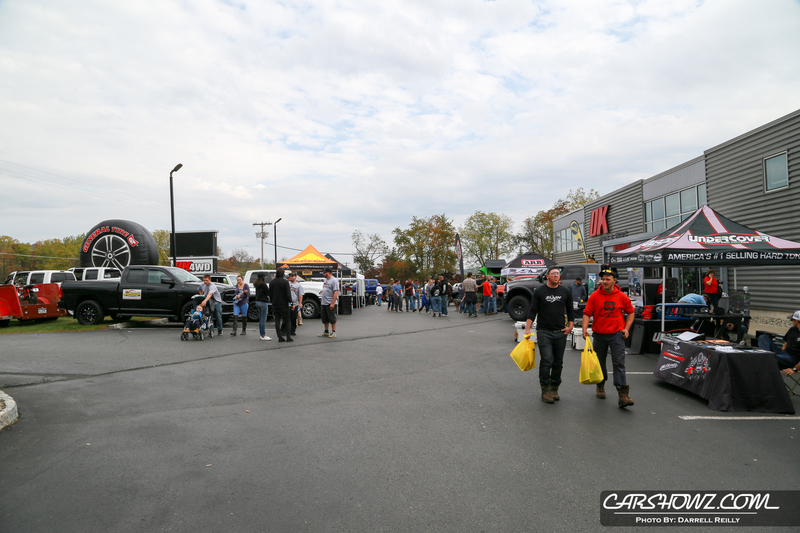 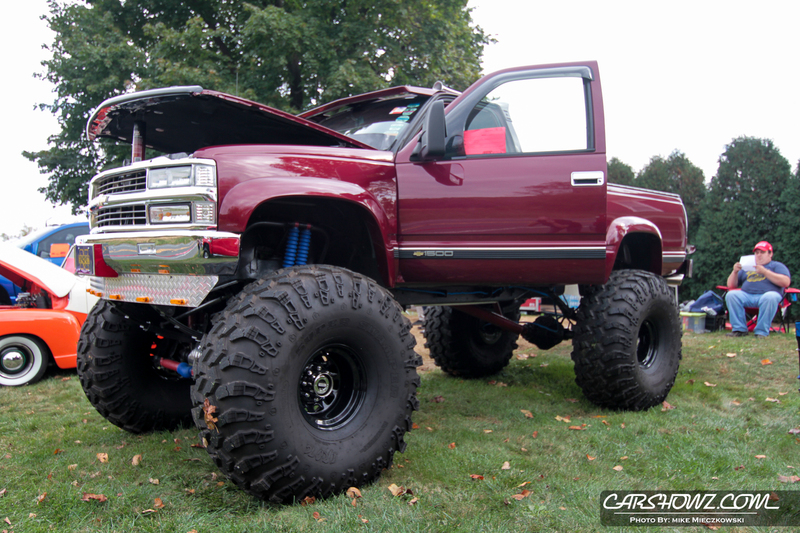 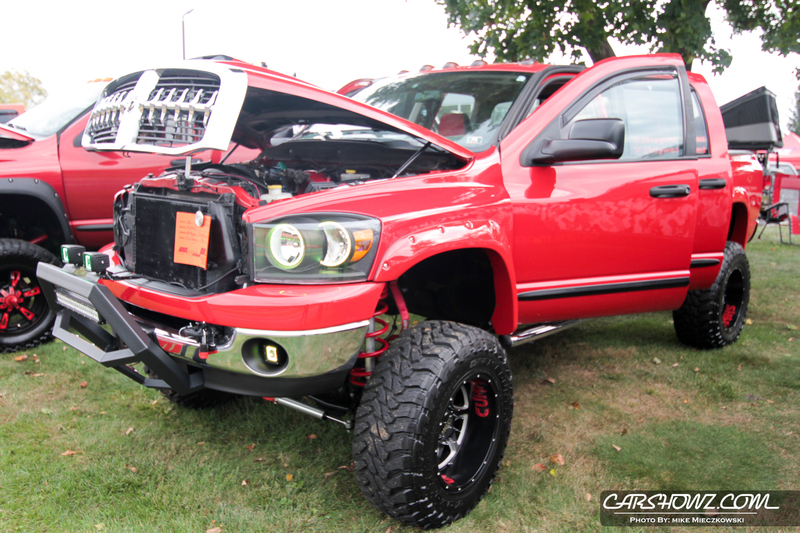 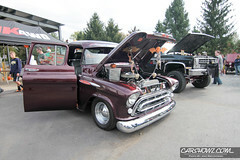 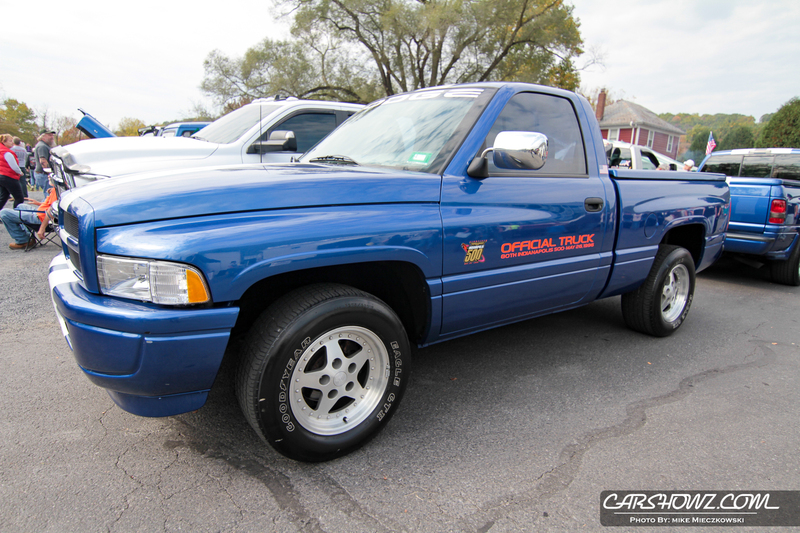 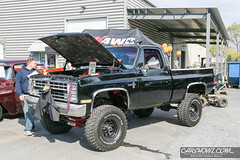 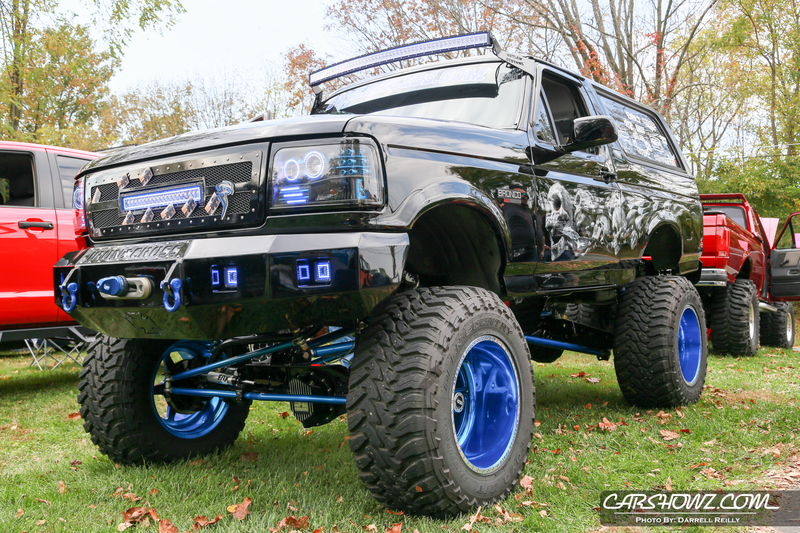 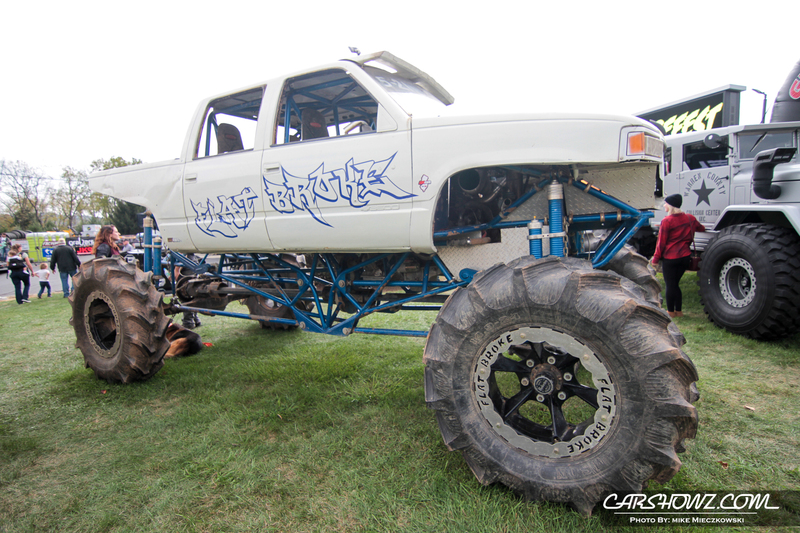 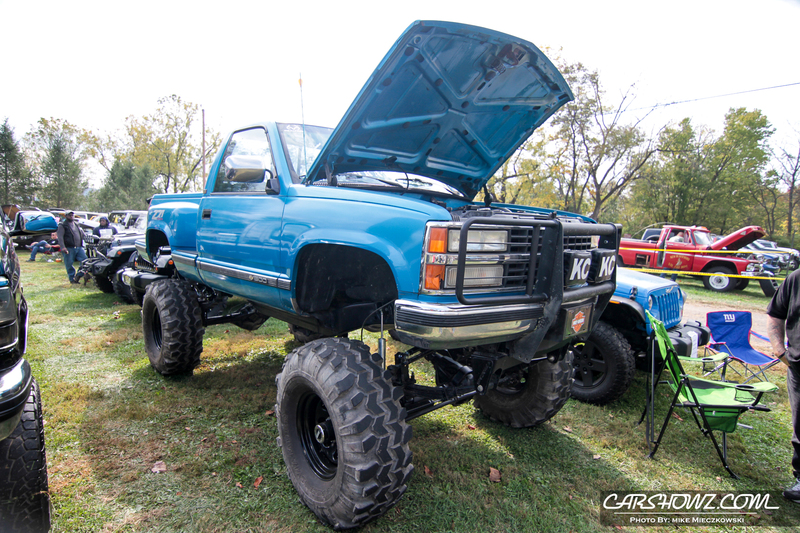 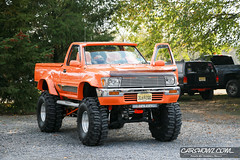 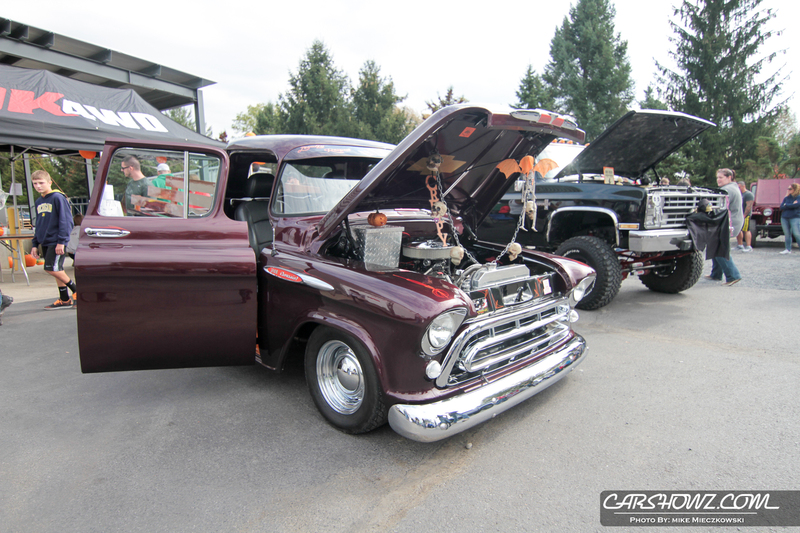 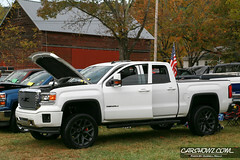 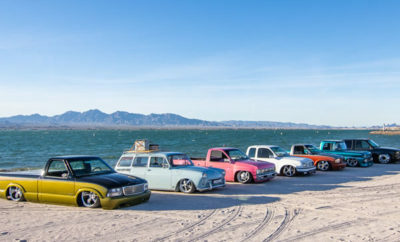 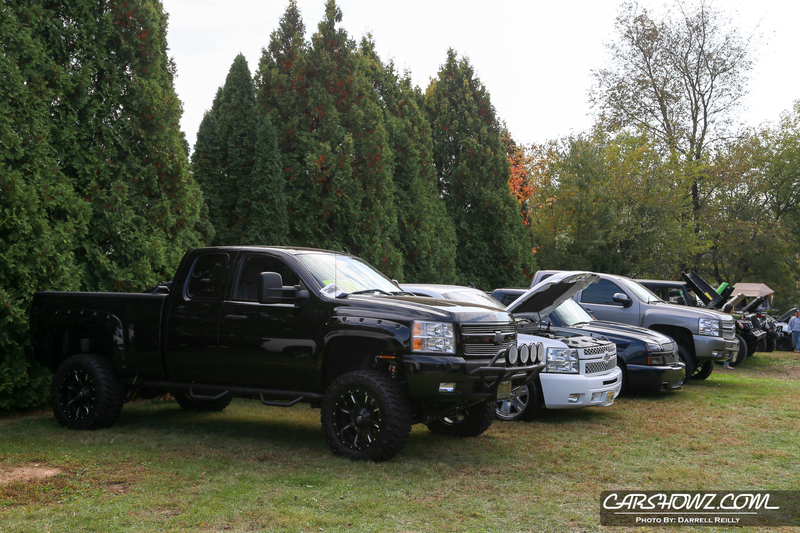 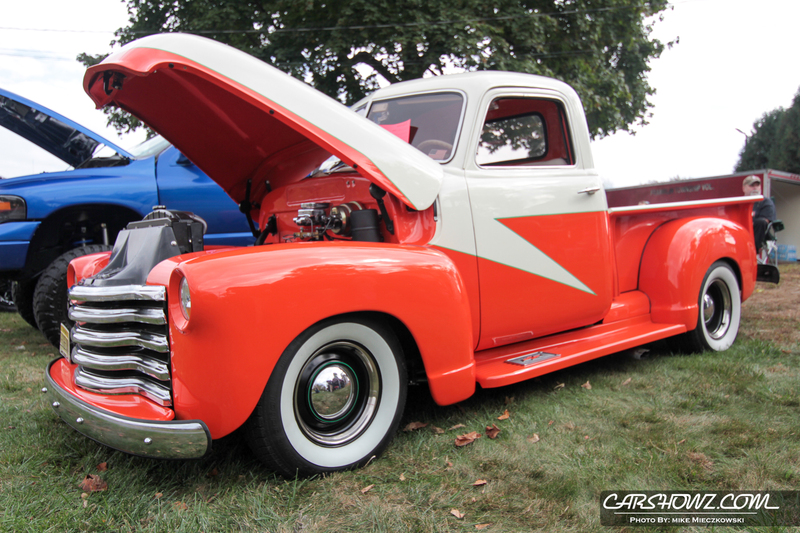 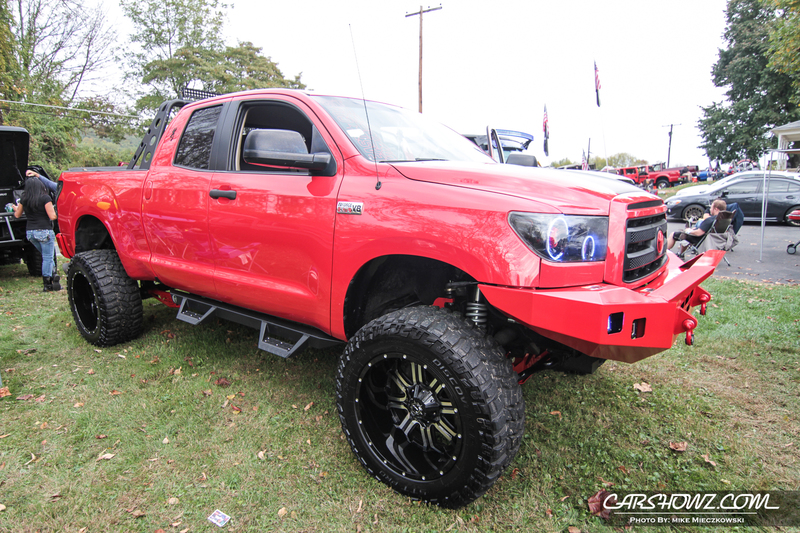 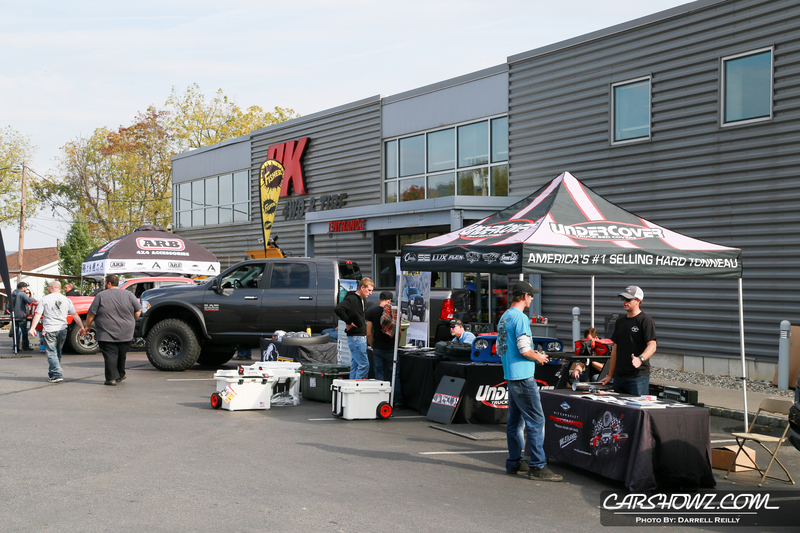 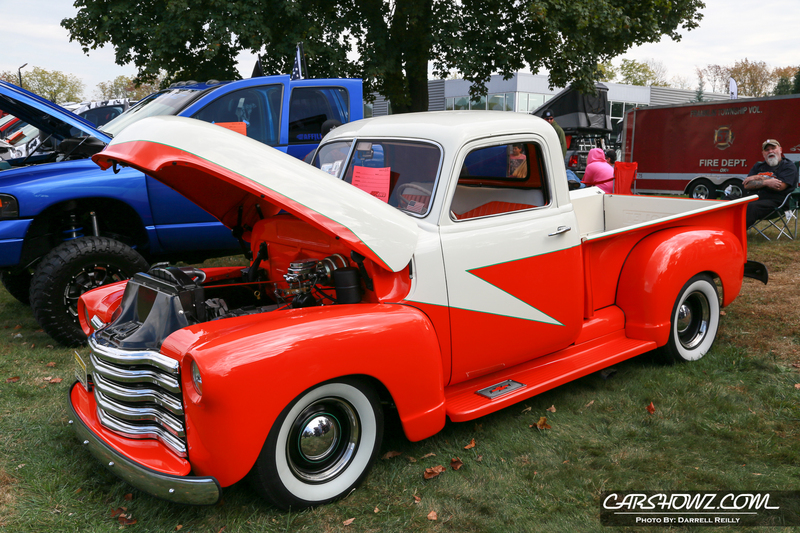 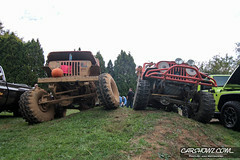 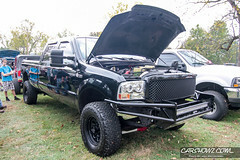 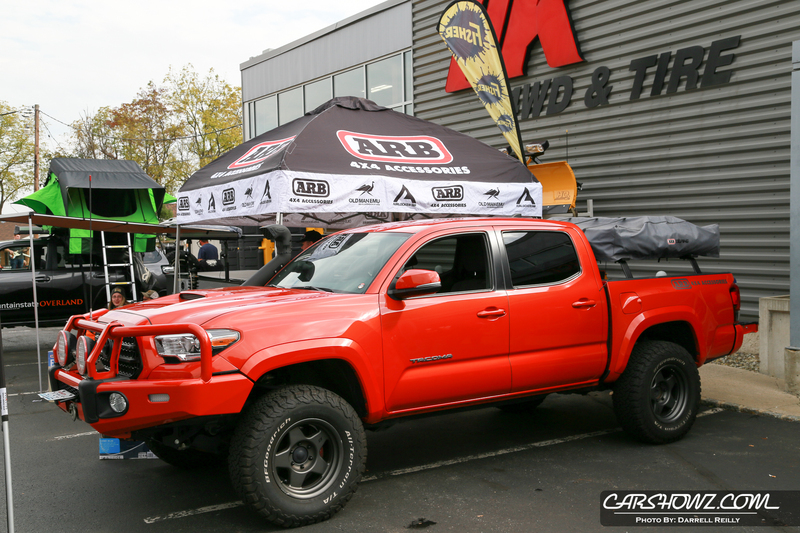 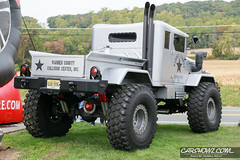 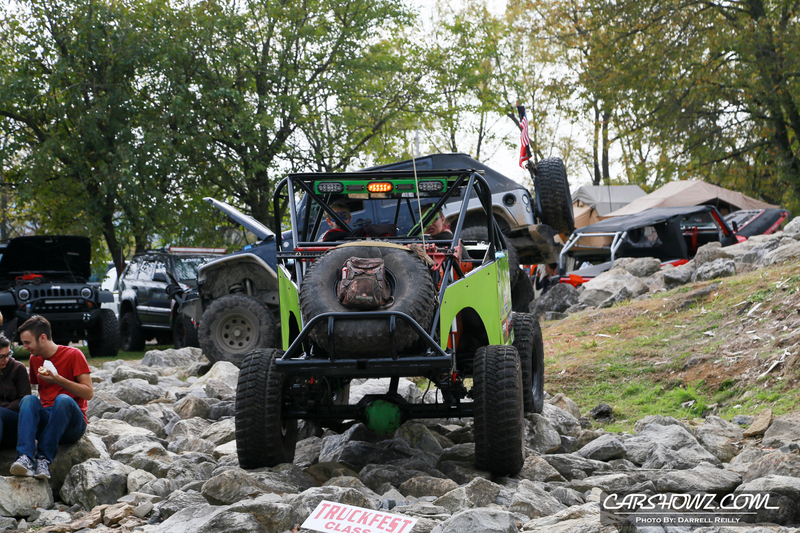 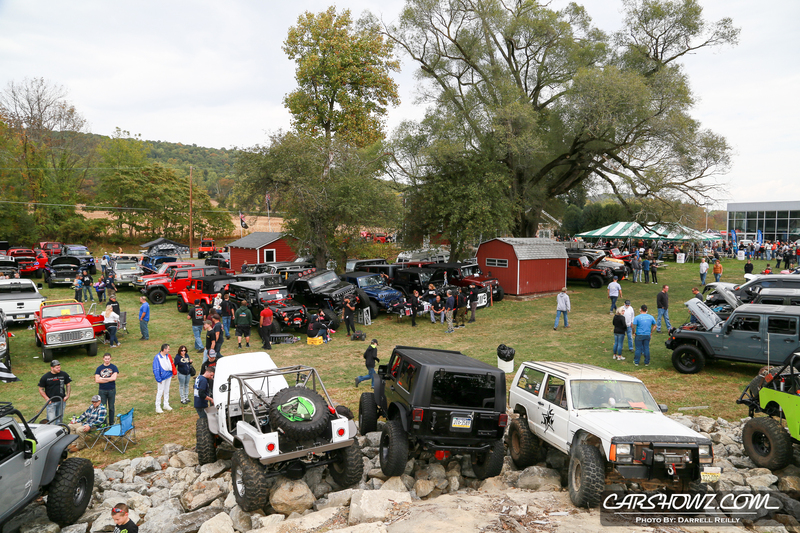 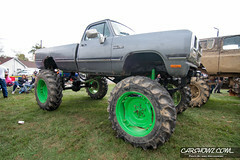 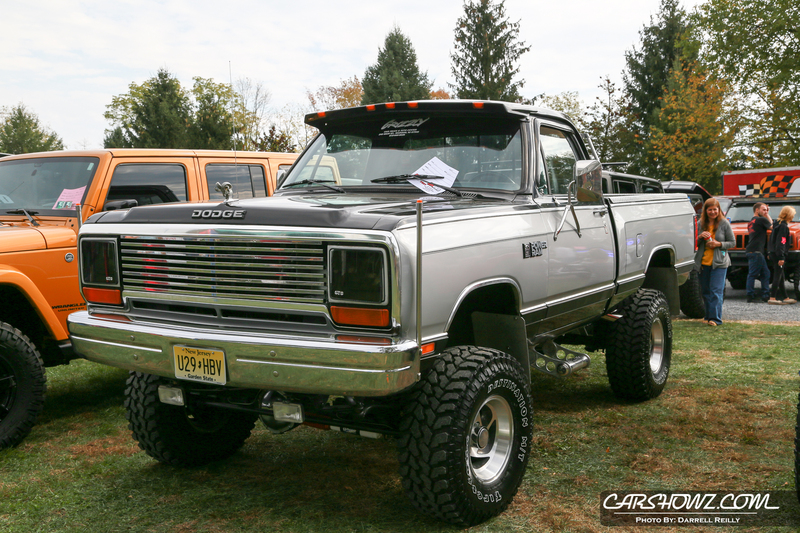 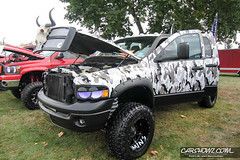 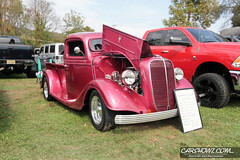 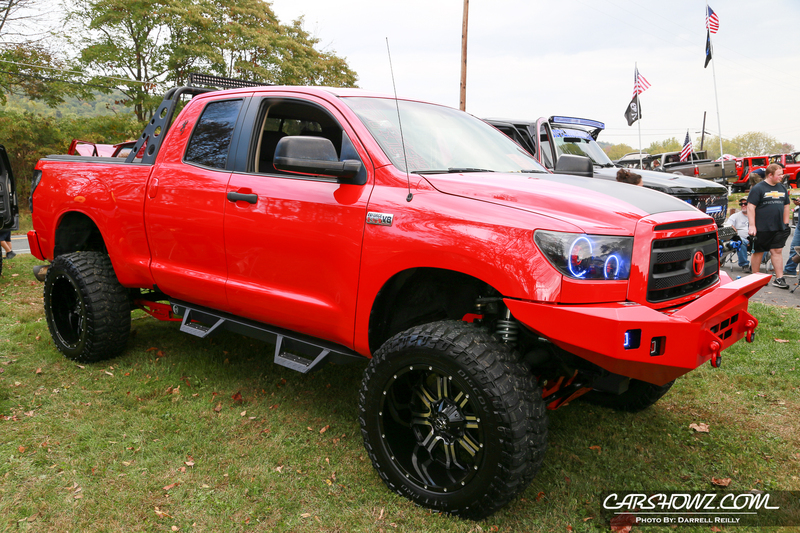 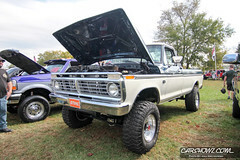 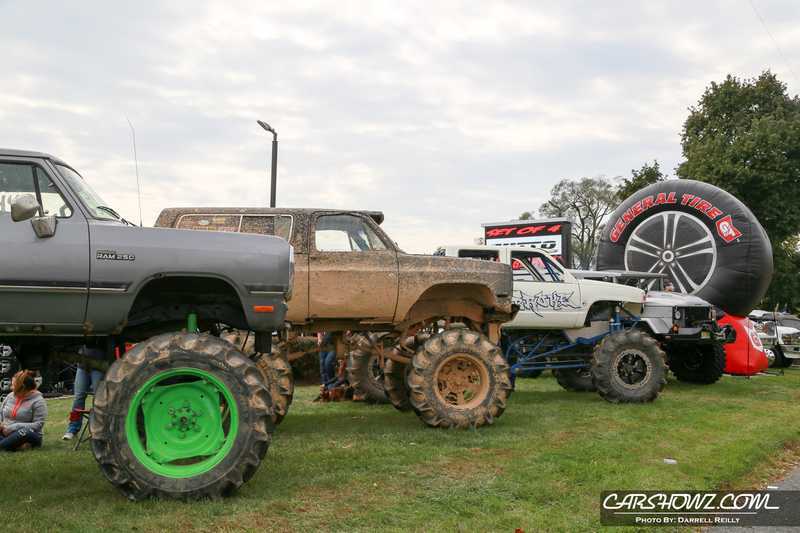 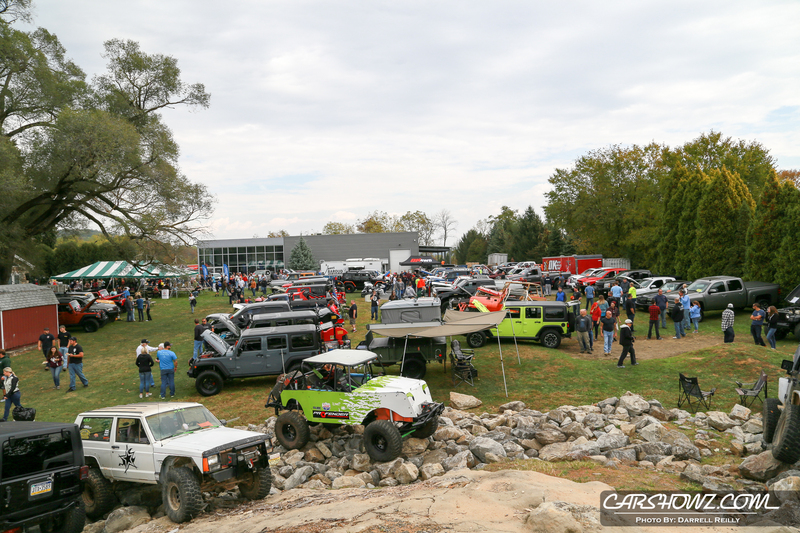 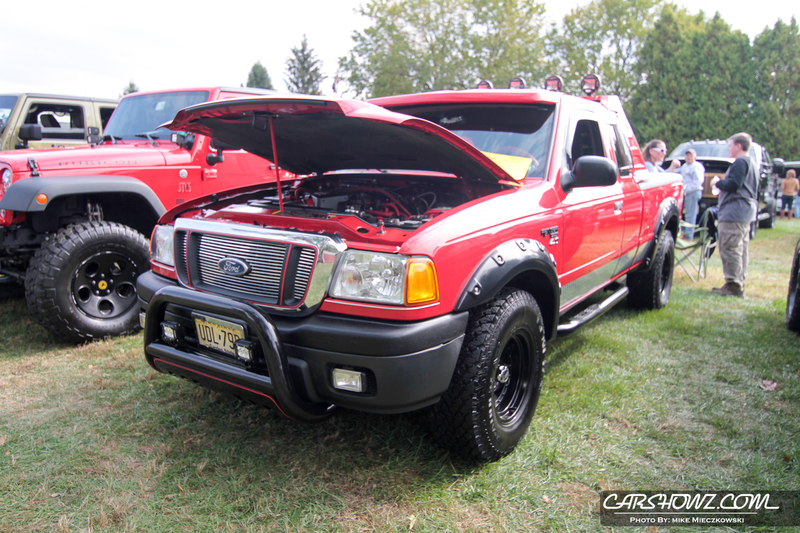 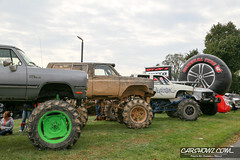 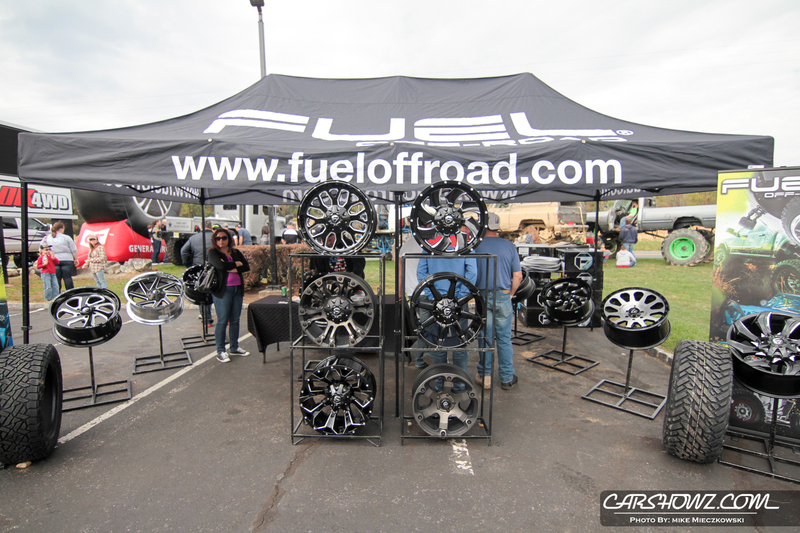 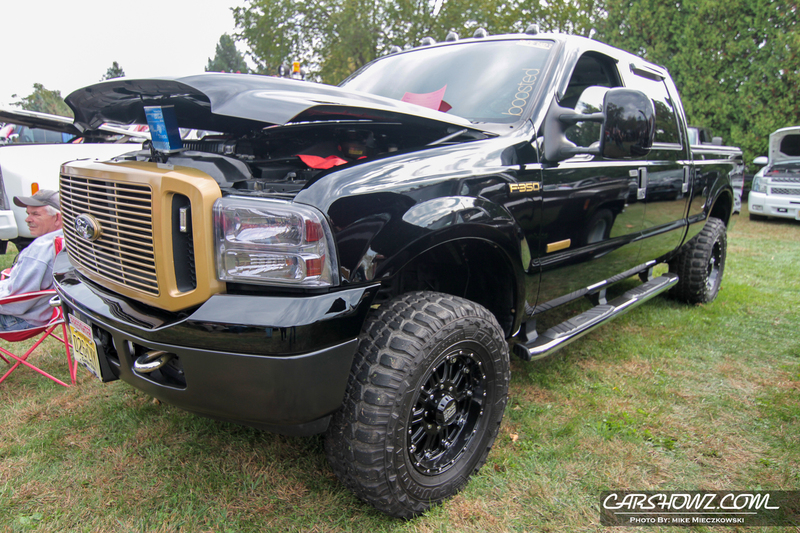 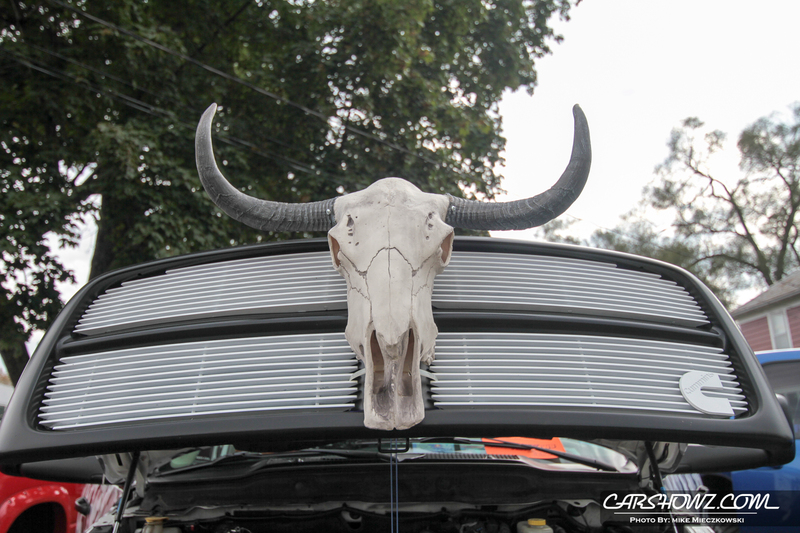 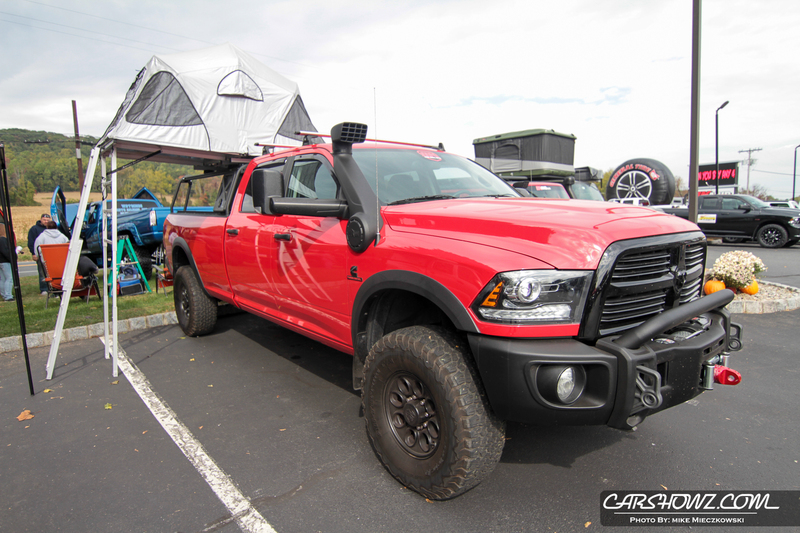 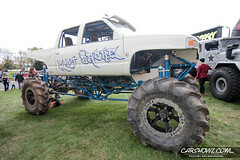 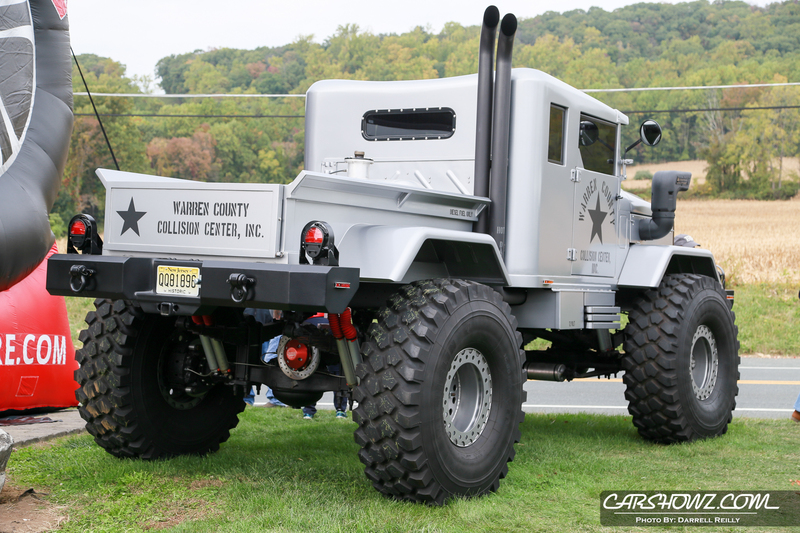 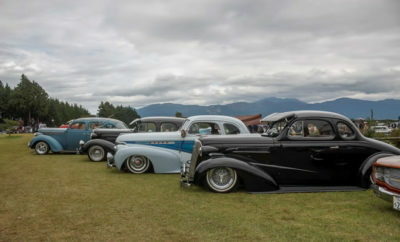 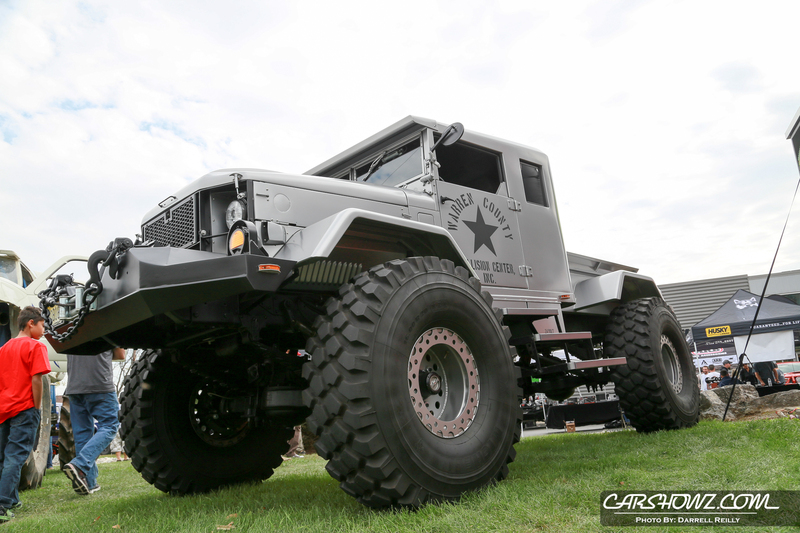 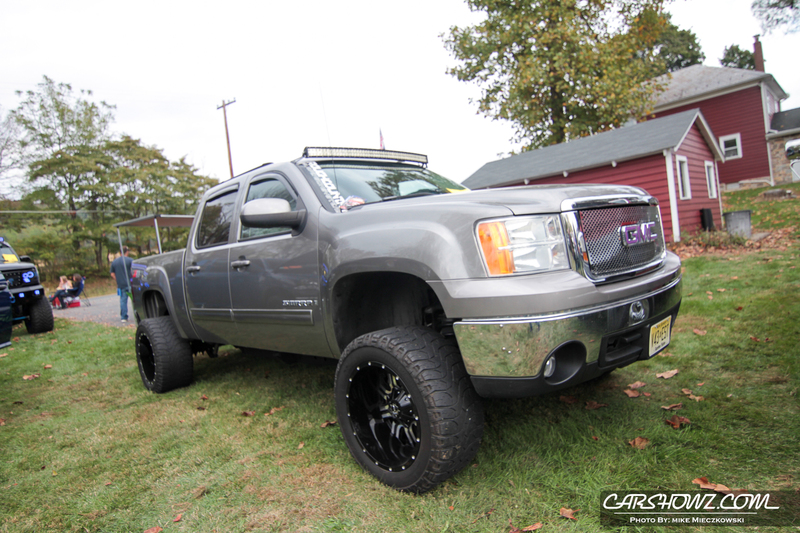 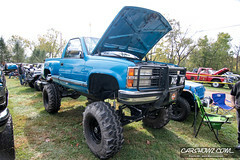 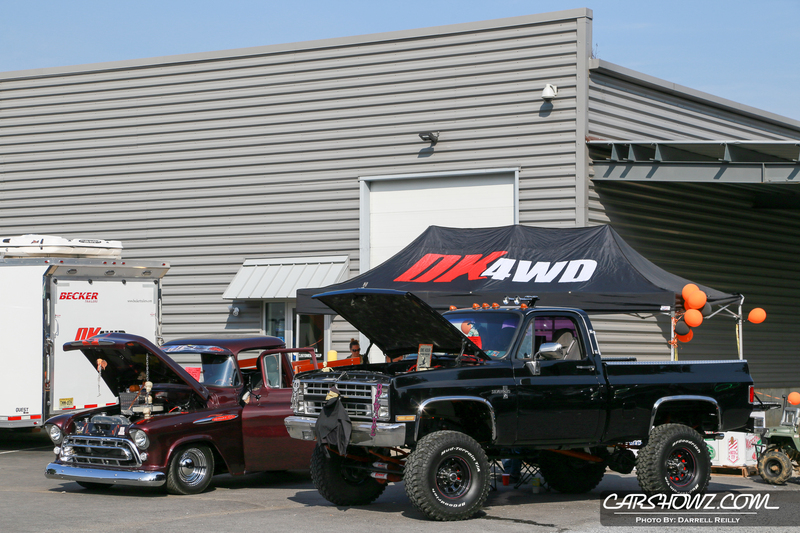 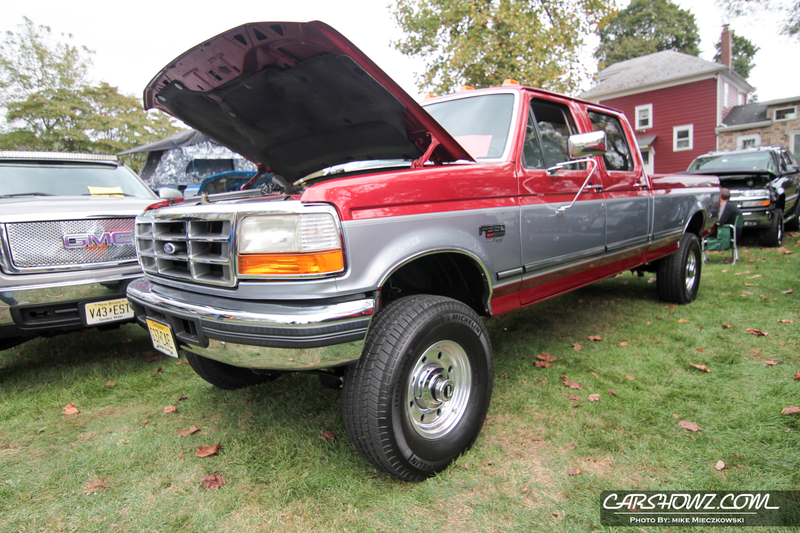 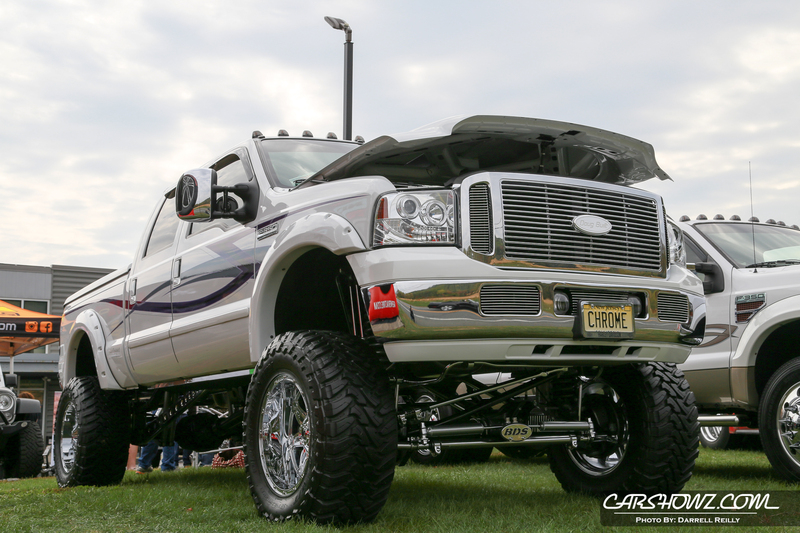 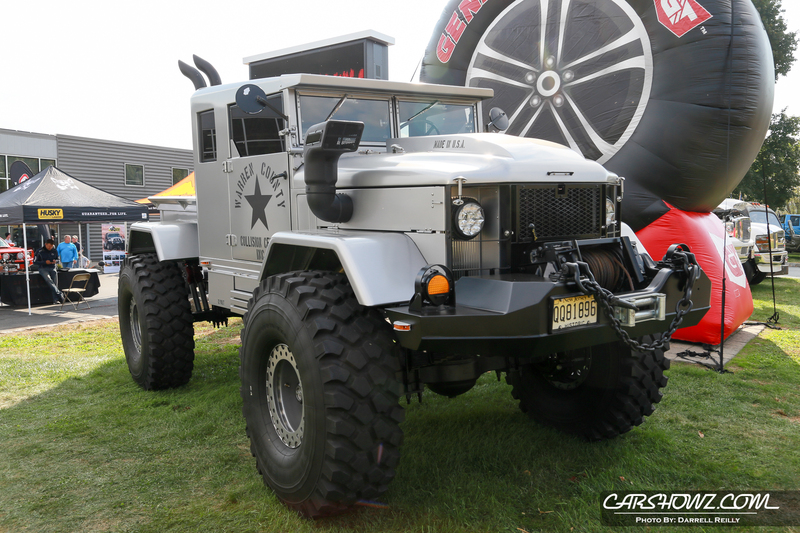 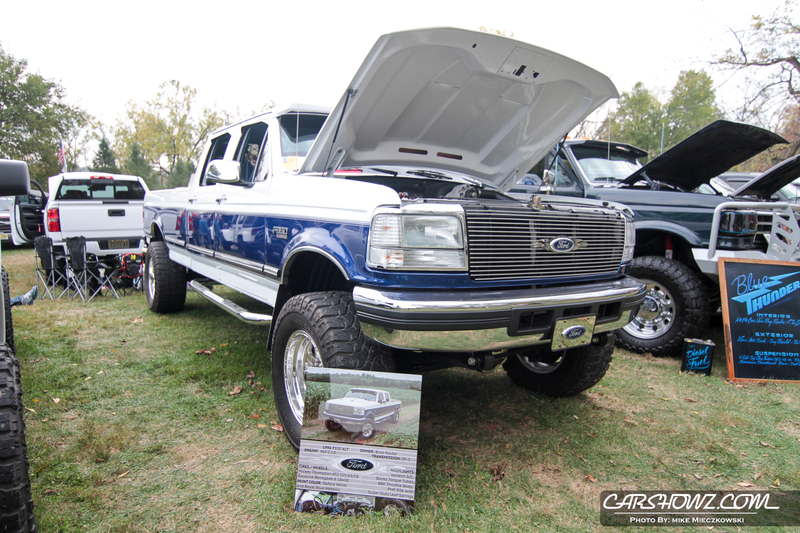 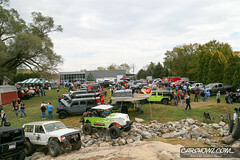 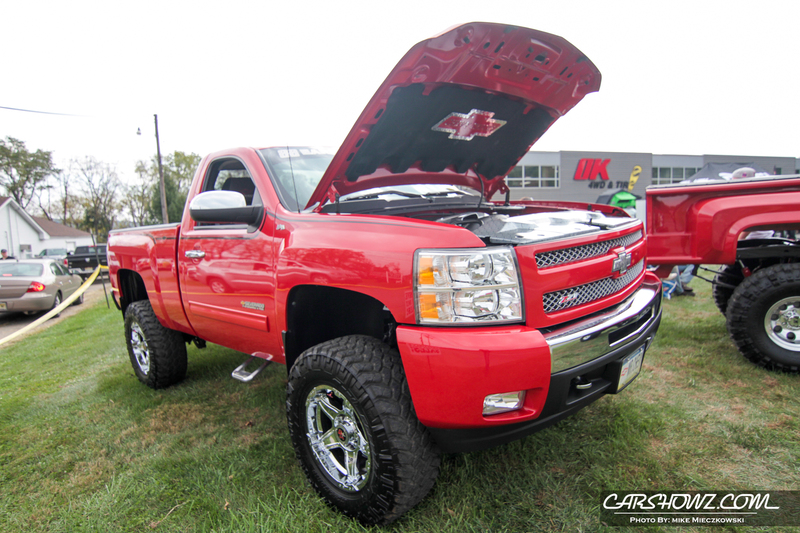 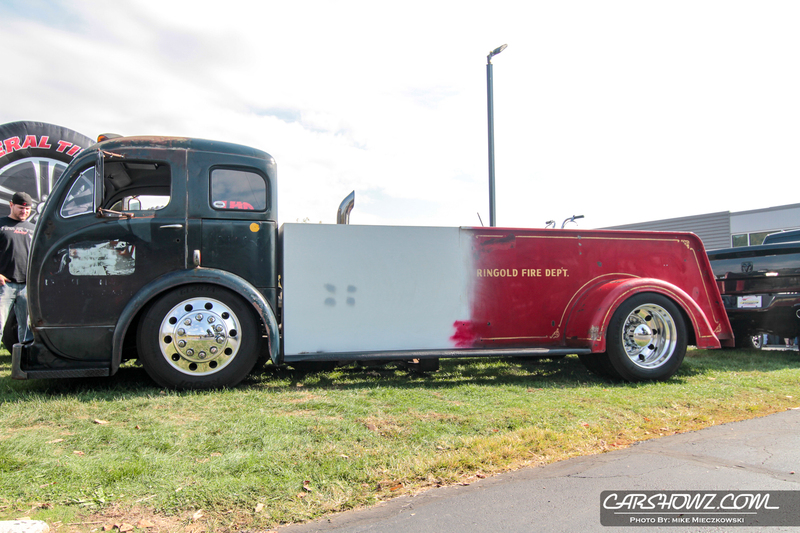 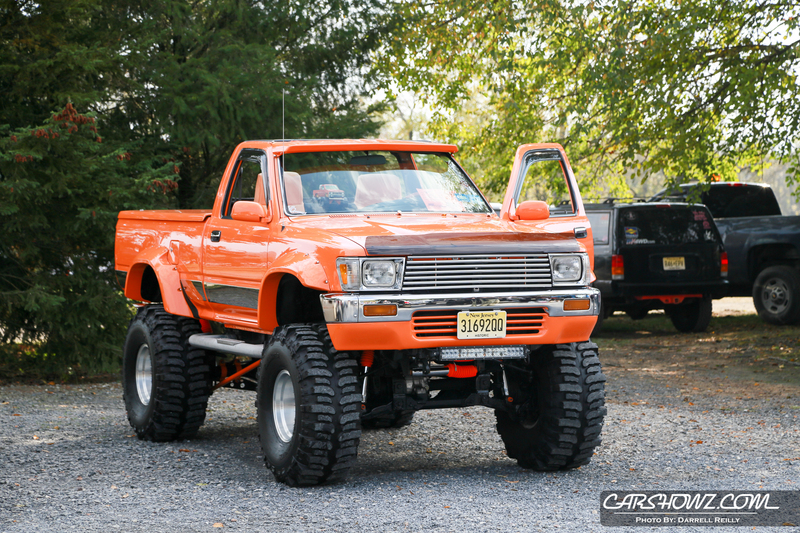 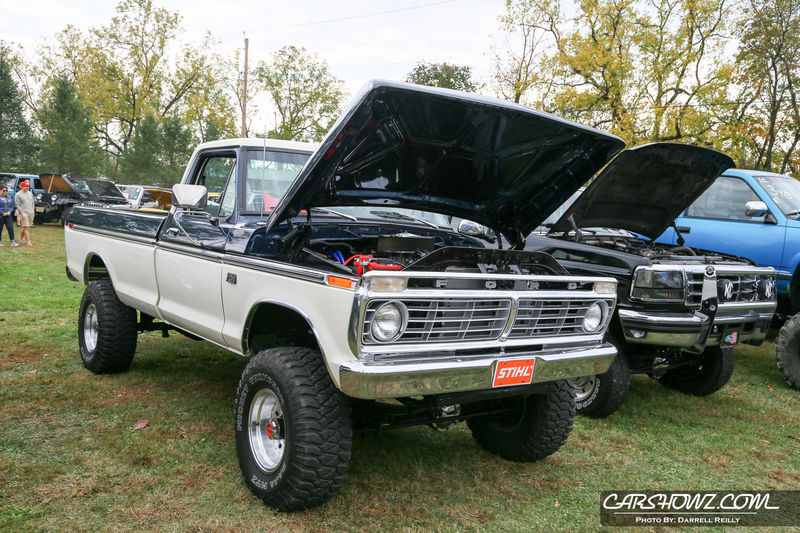 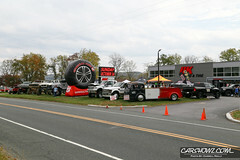 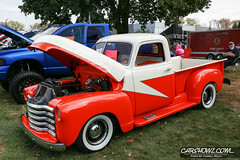 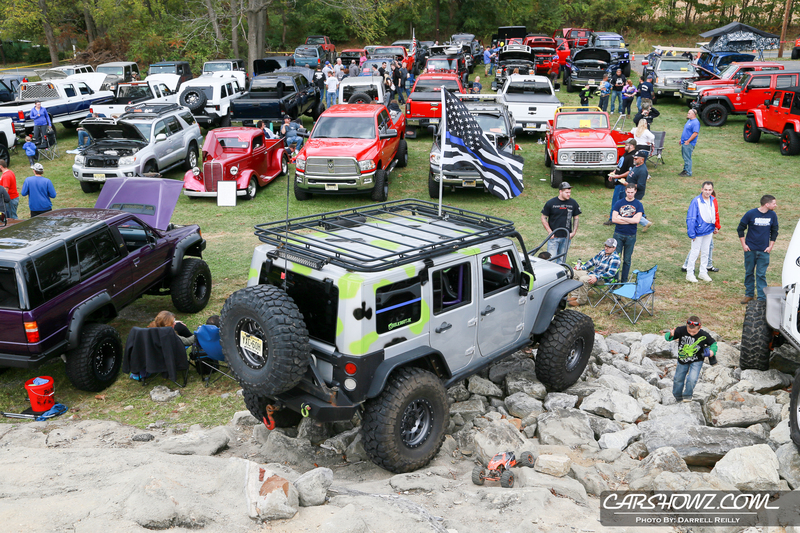 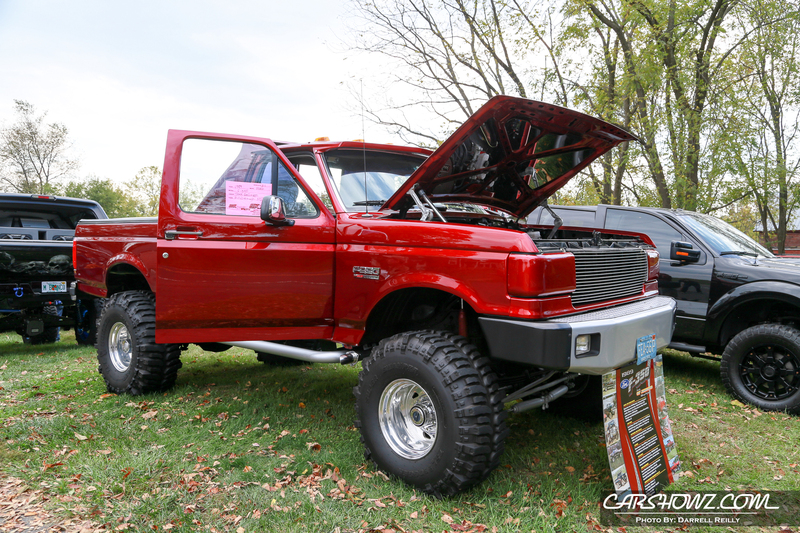 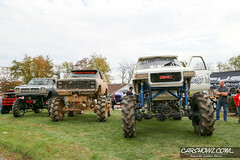 This year marked the 27th anniversary for the OK4WD Oktober Truckfest and it shows no sign of slowing down. 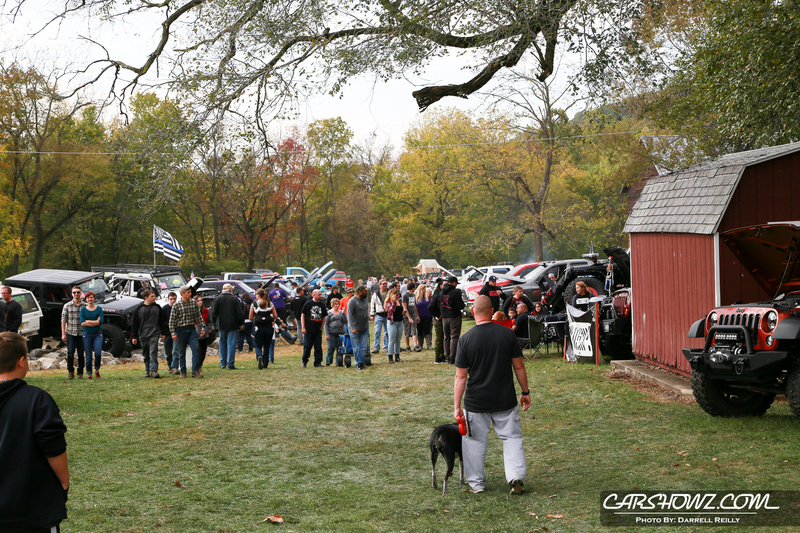 The show field sold out yet again this year with 230 show participants and they even had to open a non judged field for late entrants. Truckfest is so popular because it is a very family friendly event and a place to catch up with old friends and make new ones. 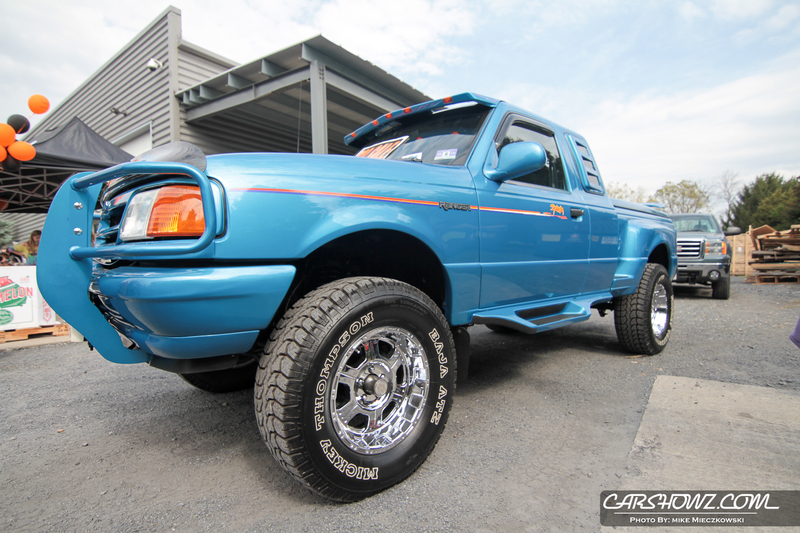 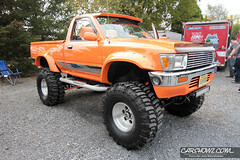 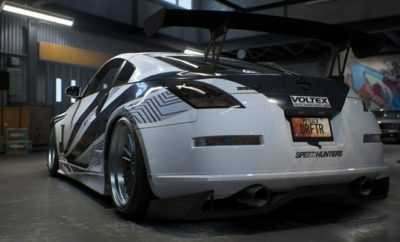 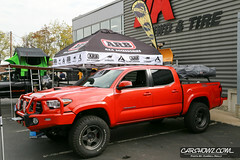 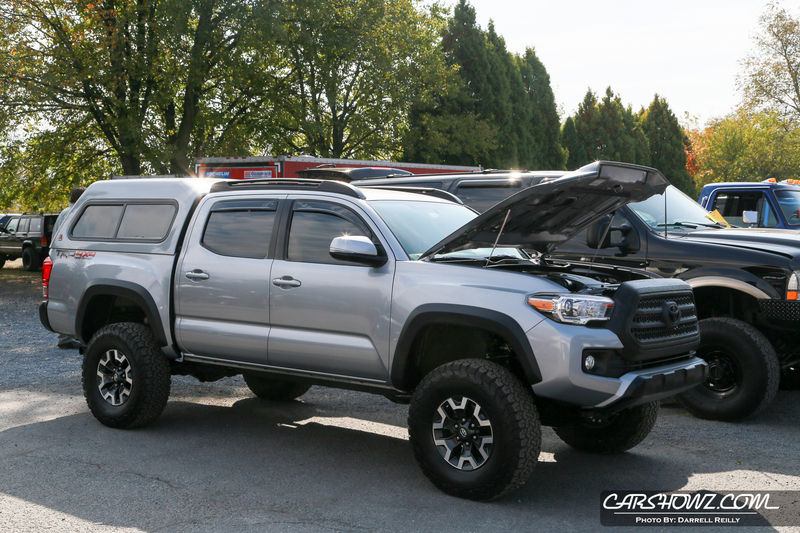 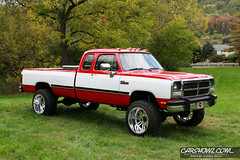 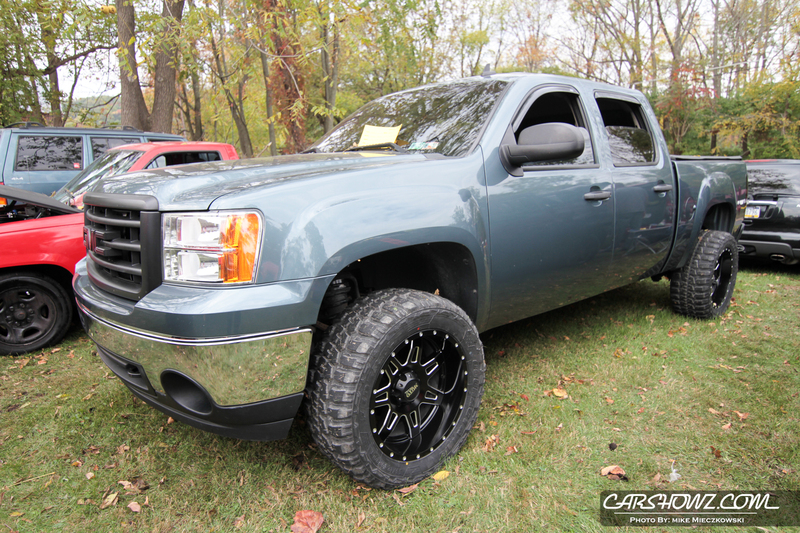 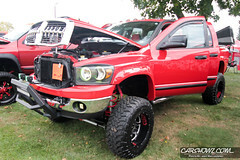 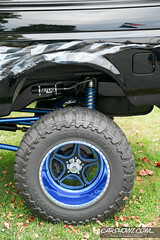 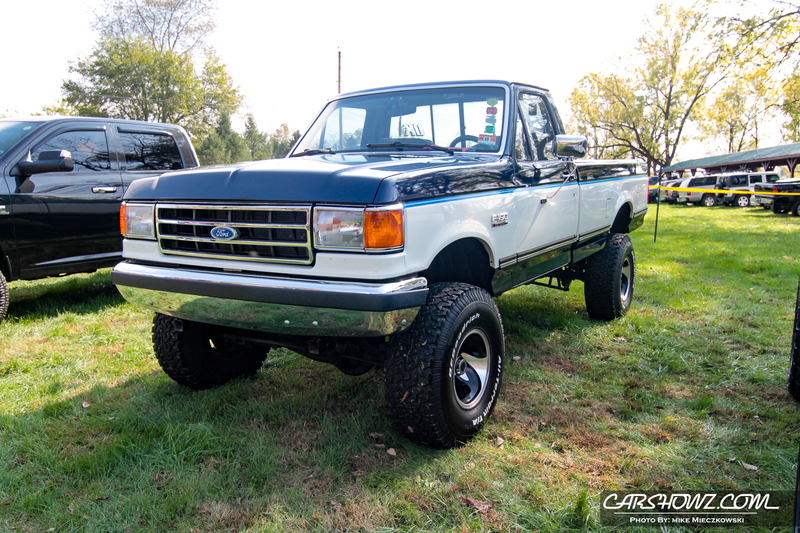 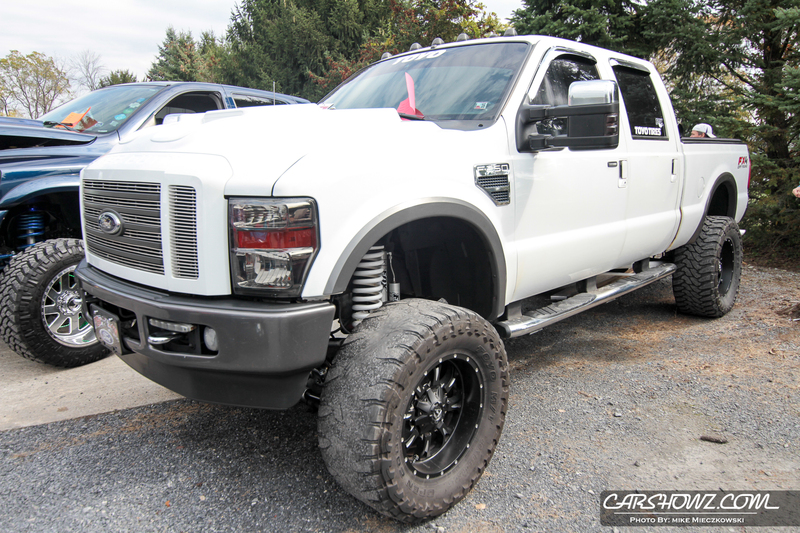 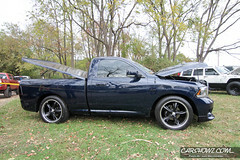 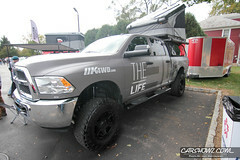 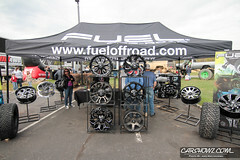 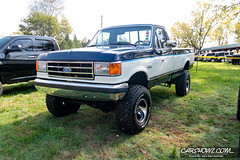 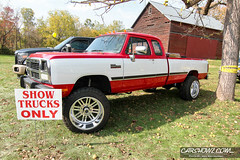 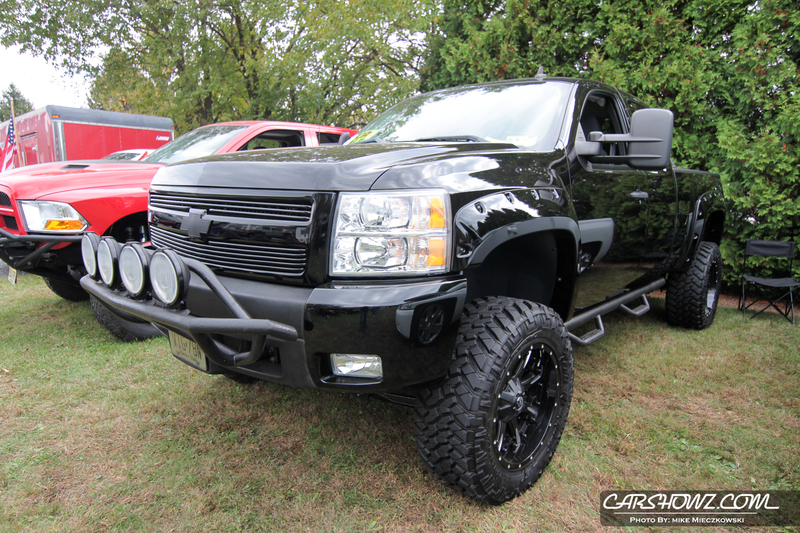 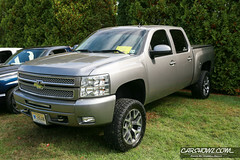 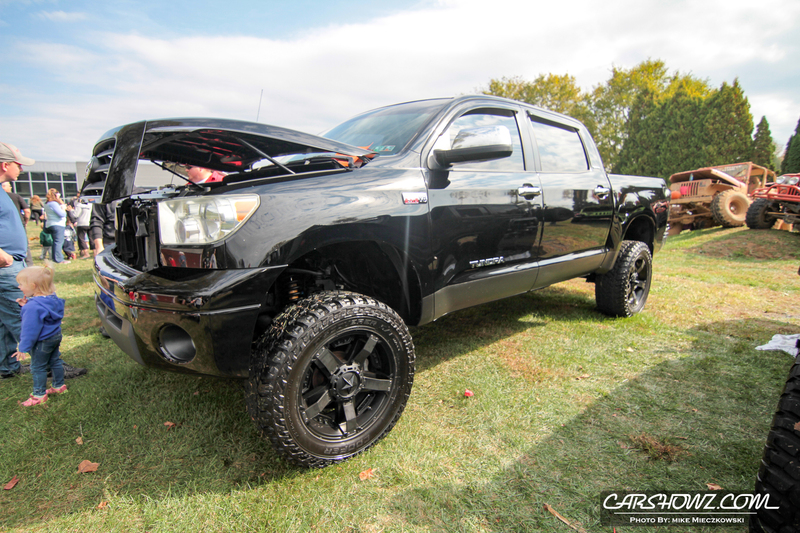 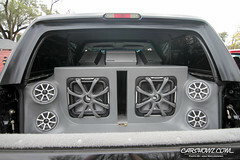 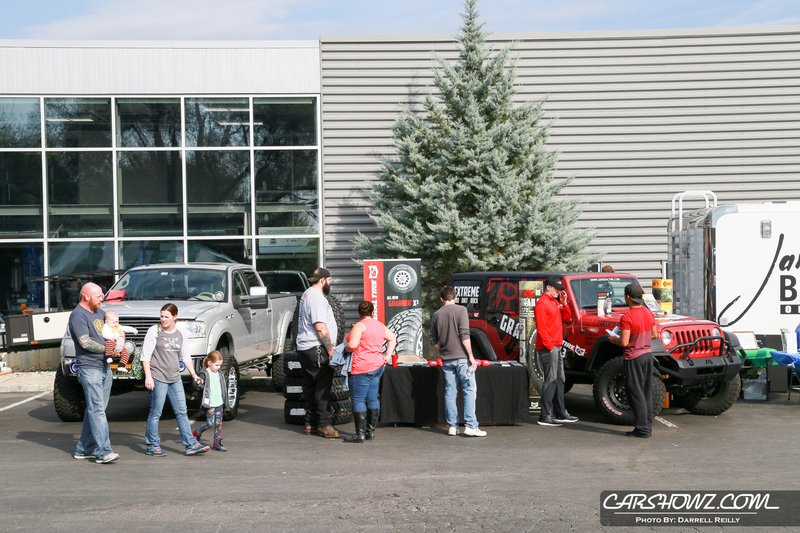 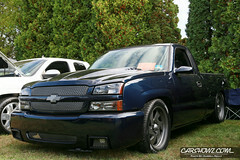 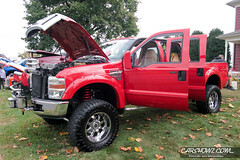 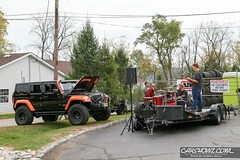 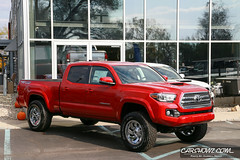 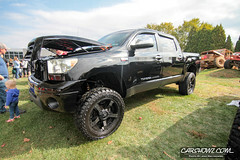 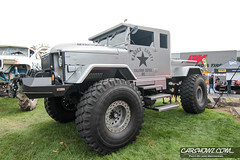 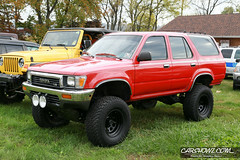 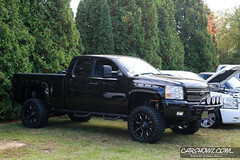 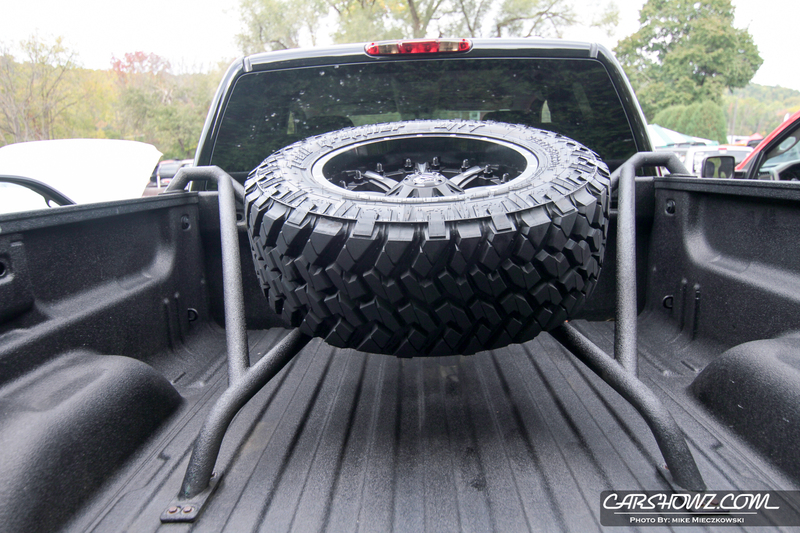 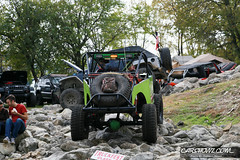 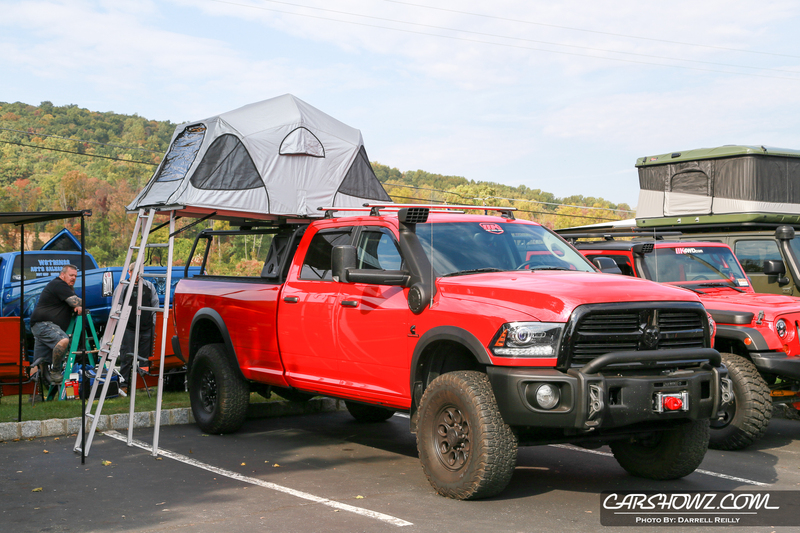 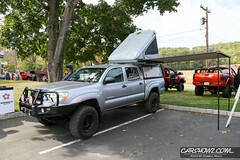 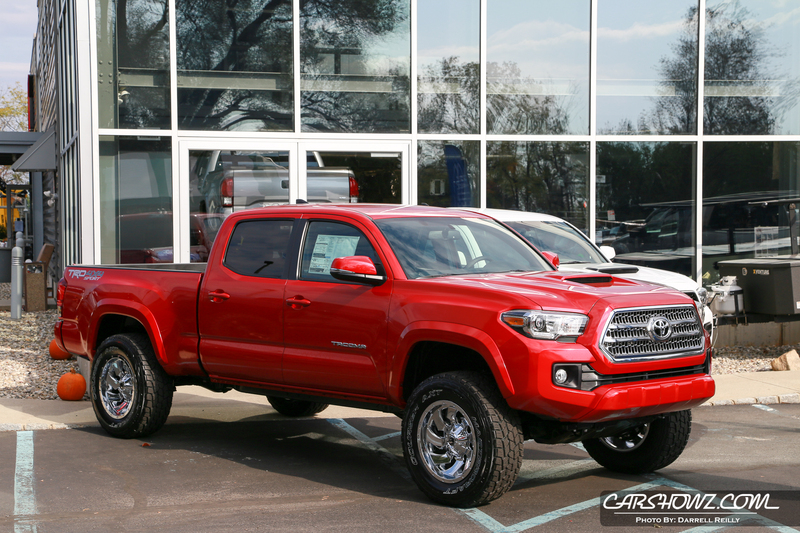 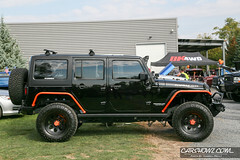 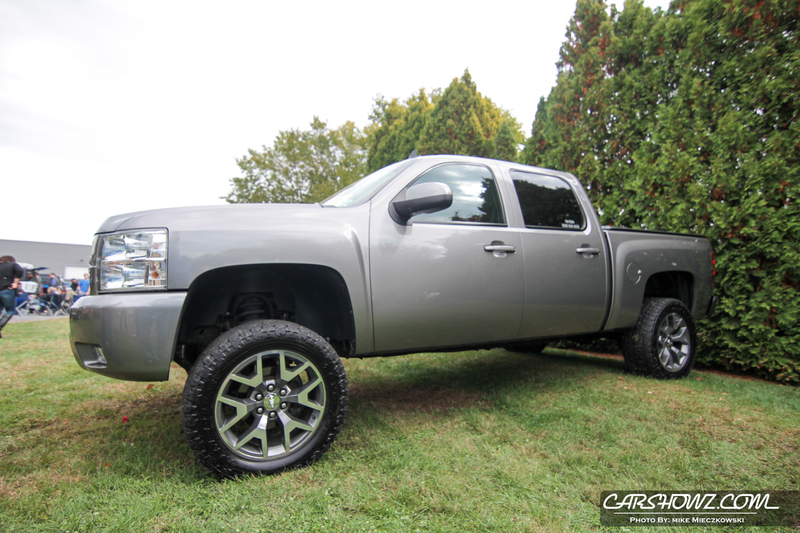 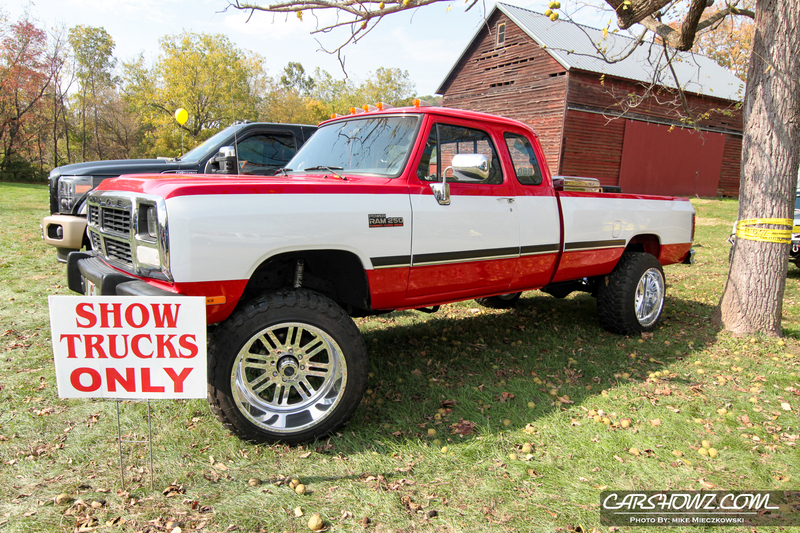 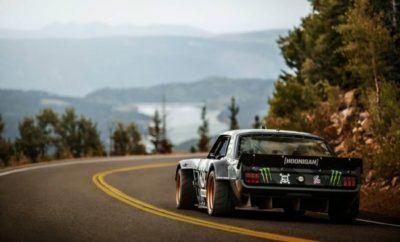 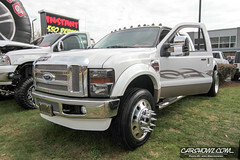 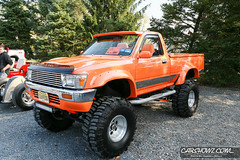 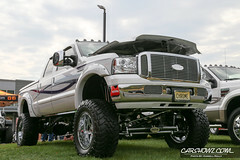 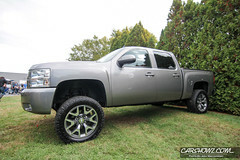 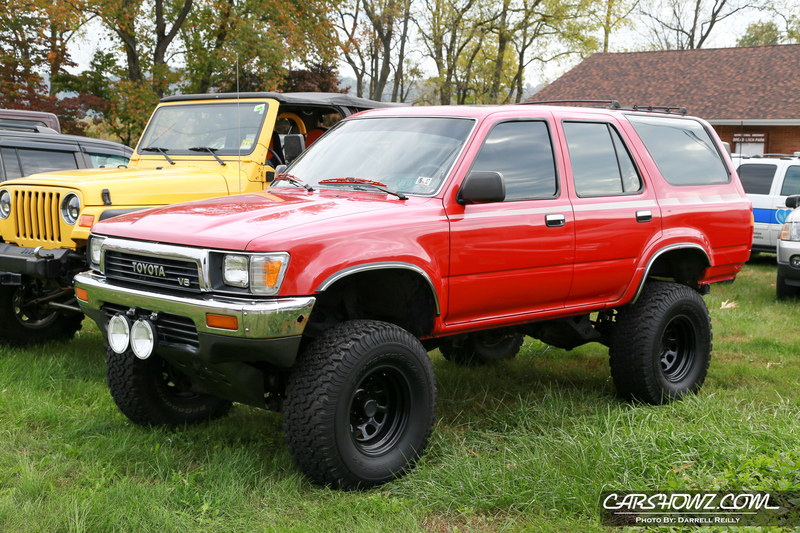 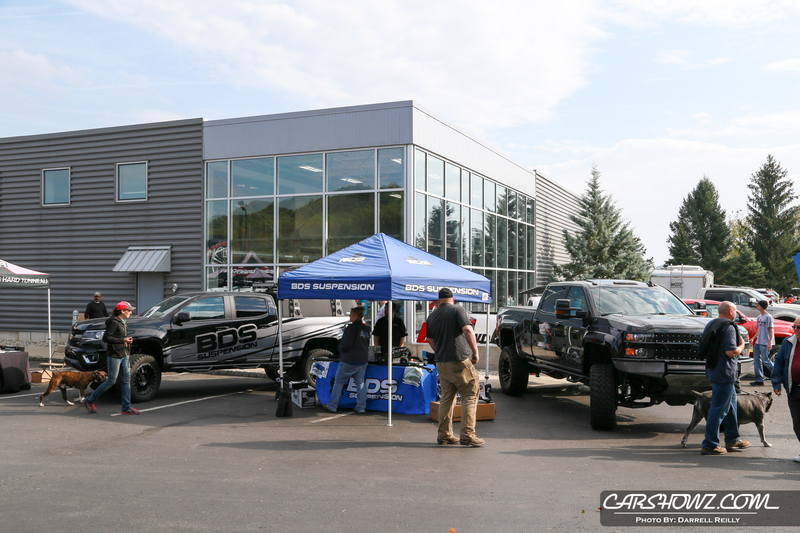 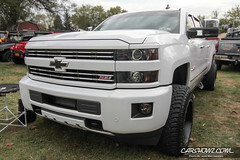 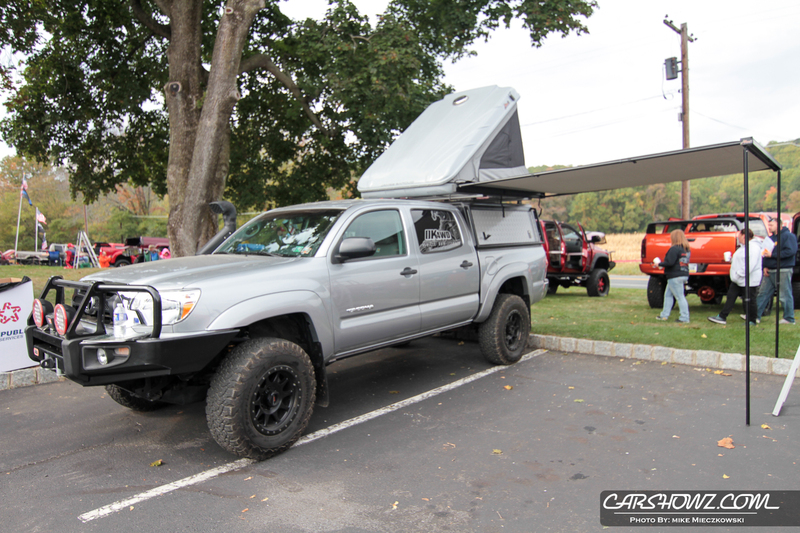 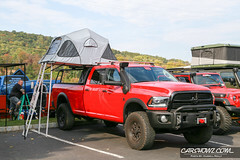 It’s open to any truck, lifted or lowered and any kind of offroad vehicle. 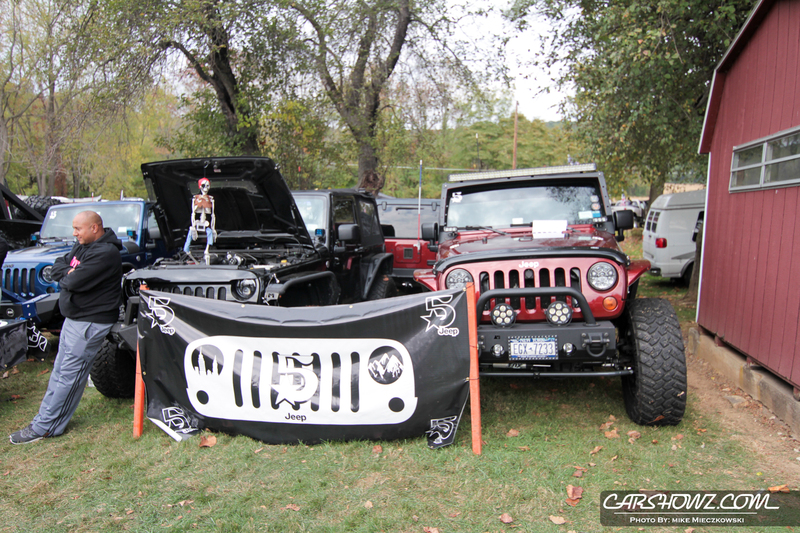 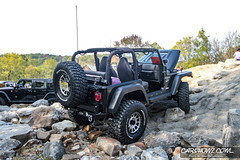 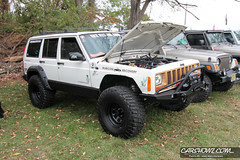 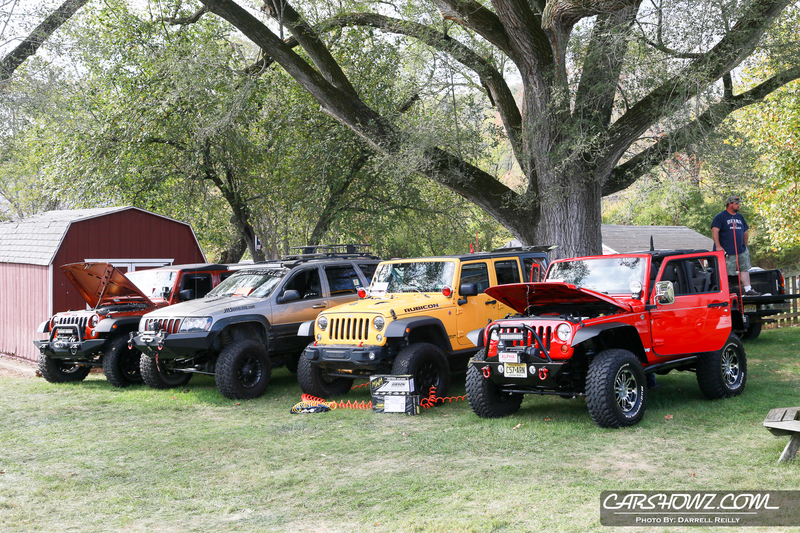 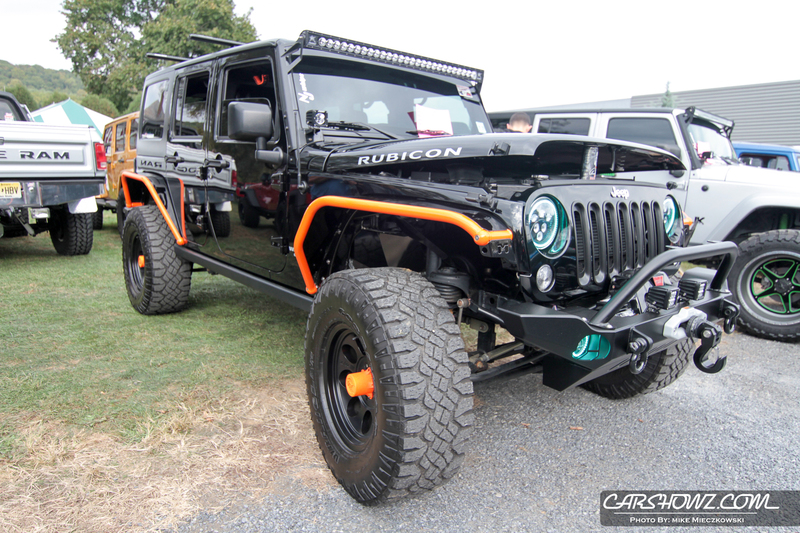 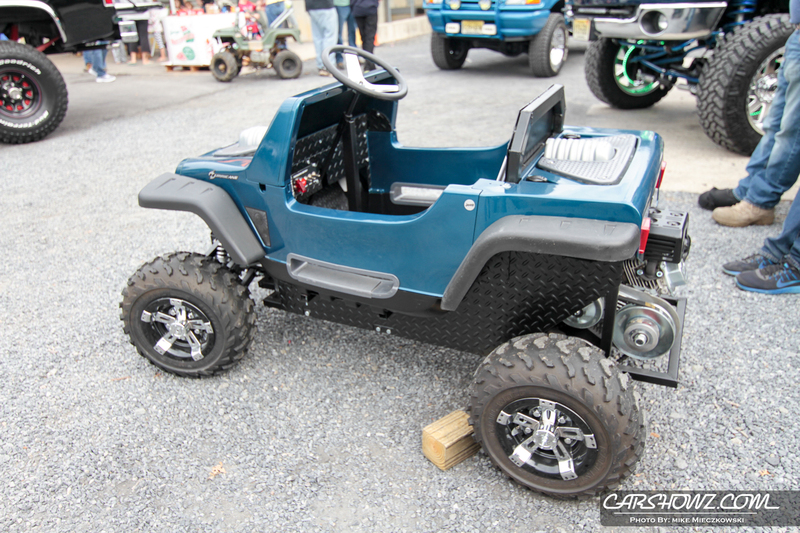 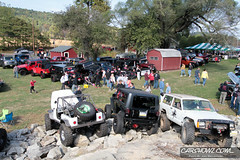 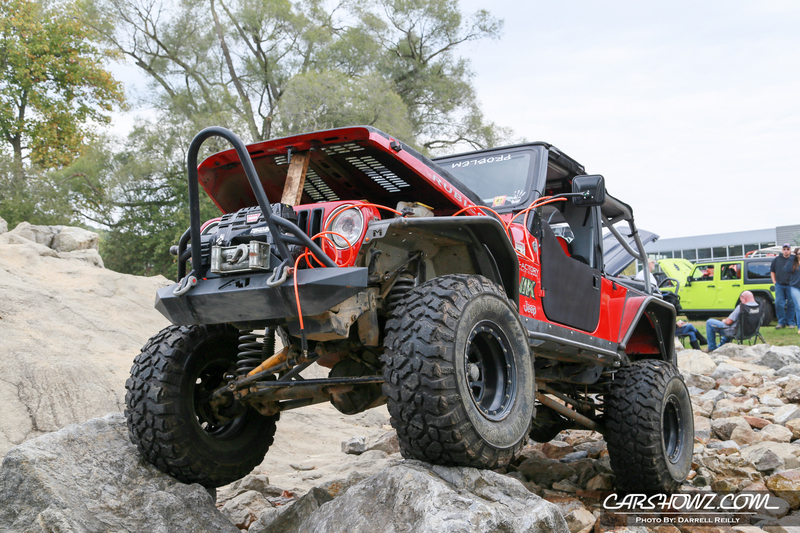 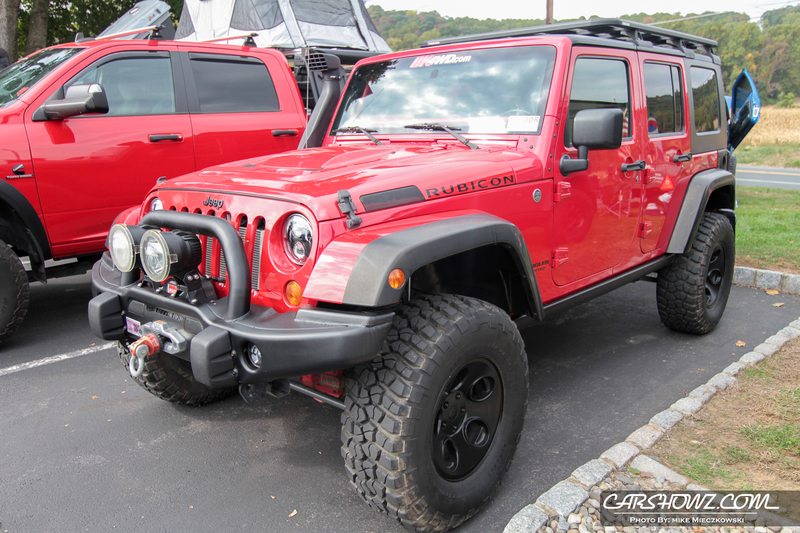 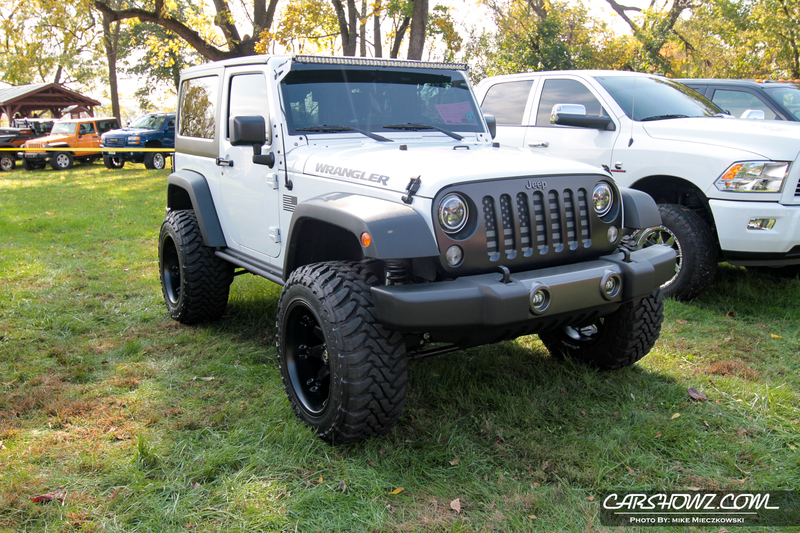 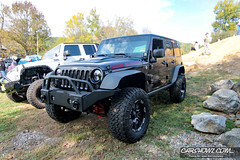 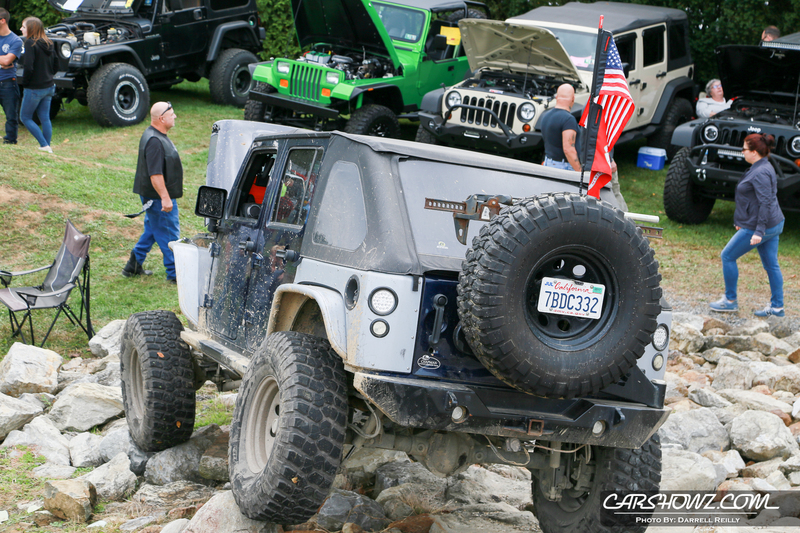 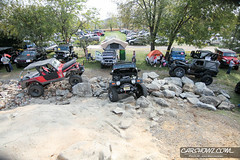 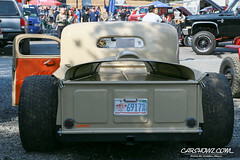 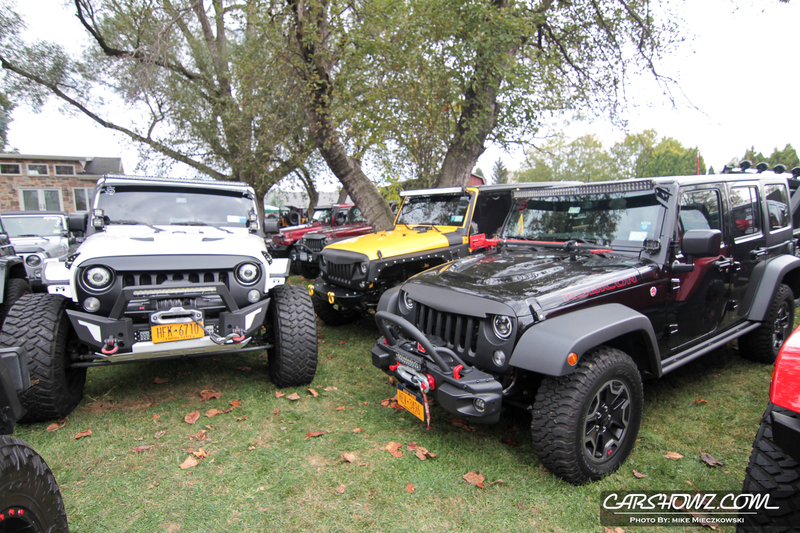 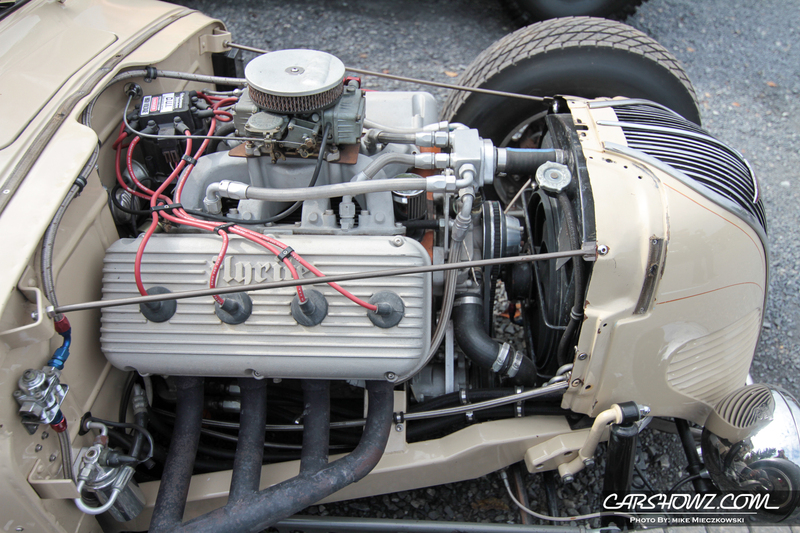 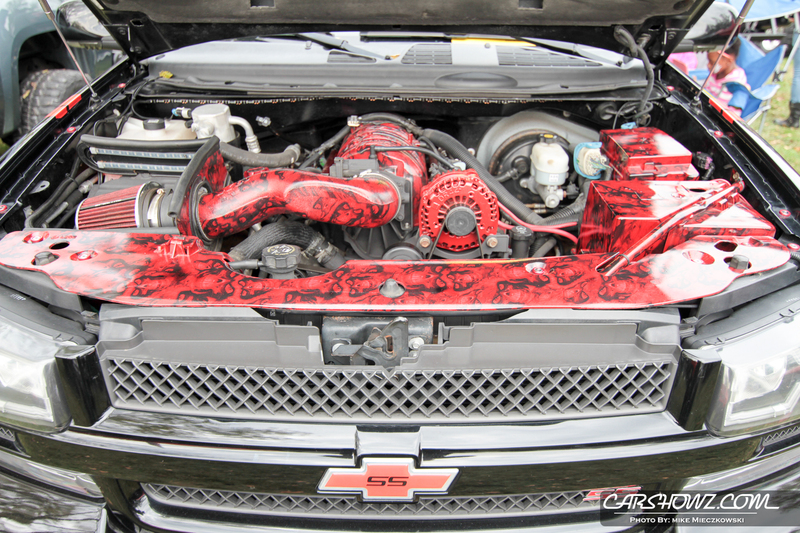 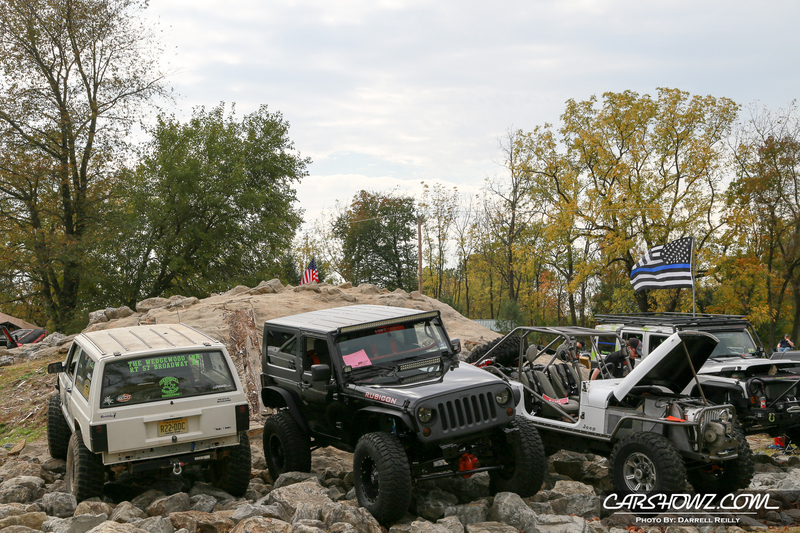 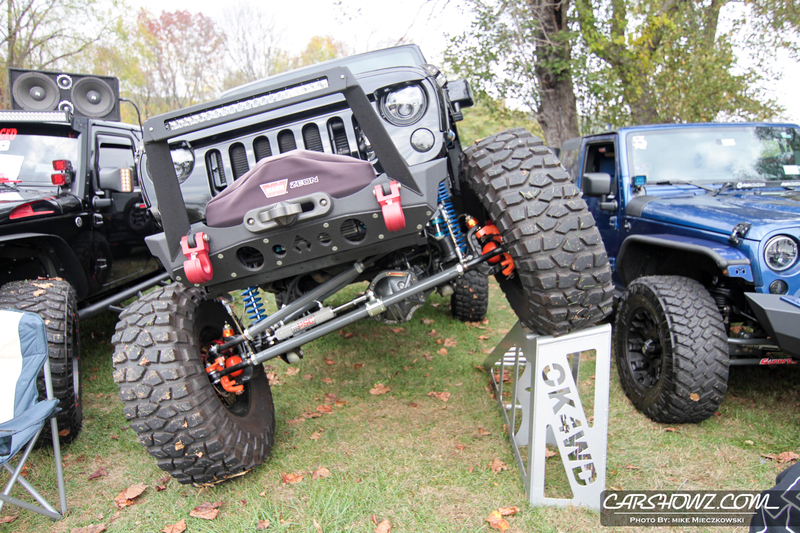 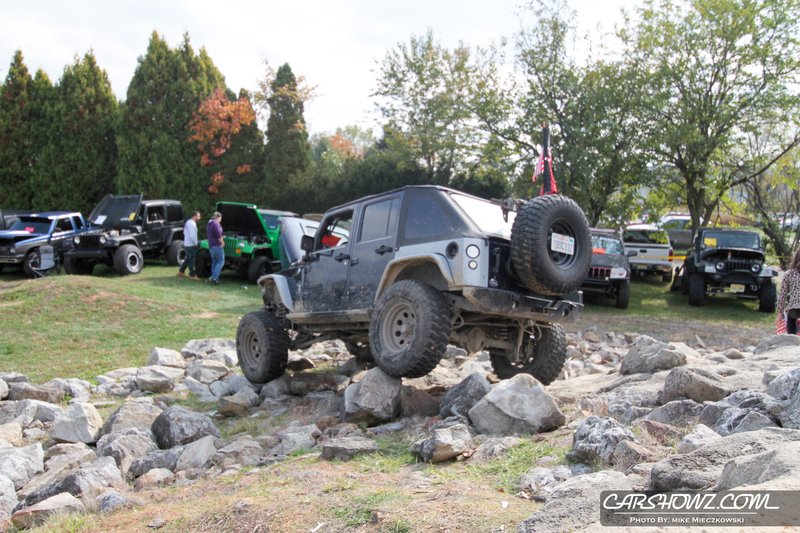 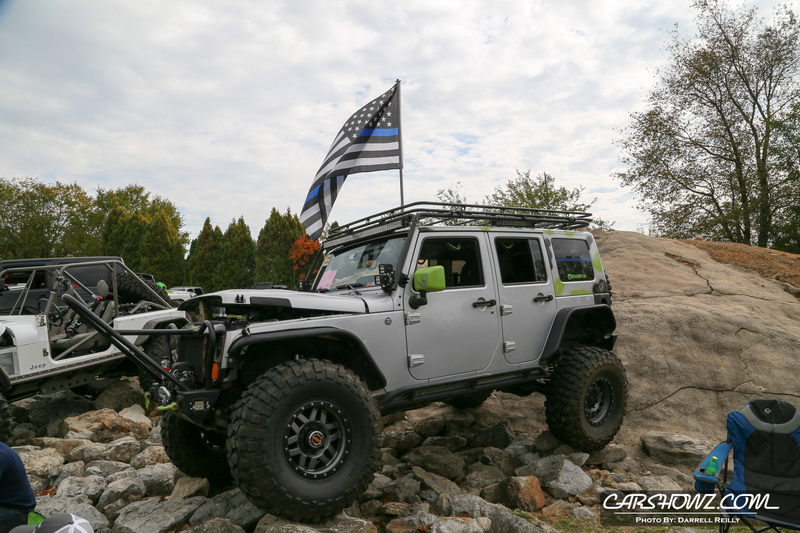 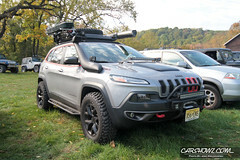 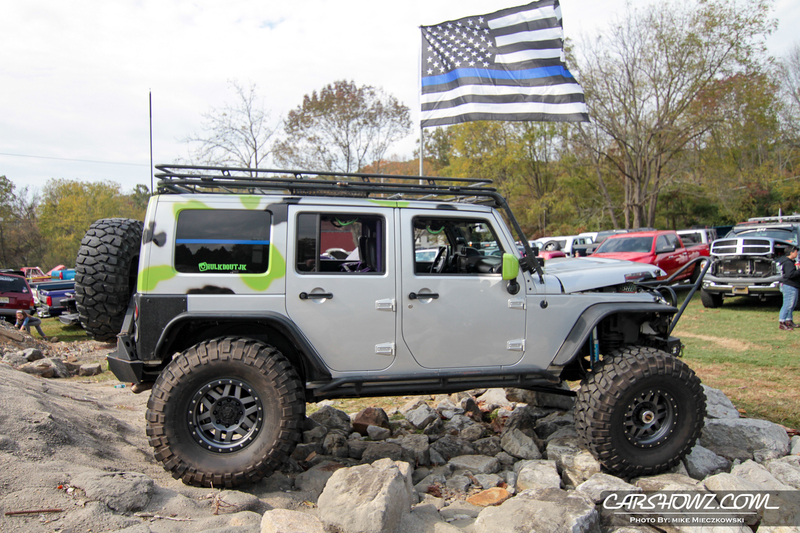 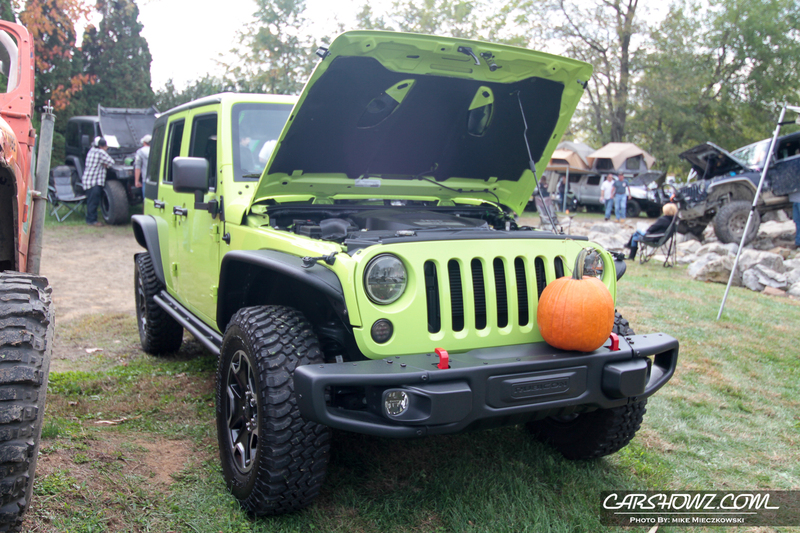 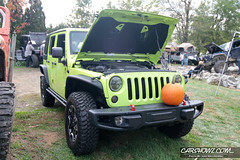 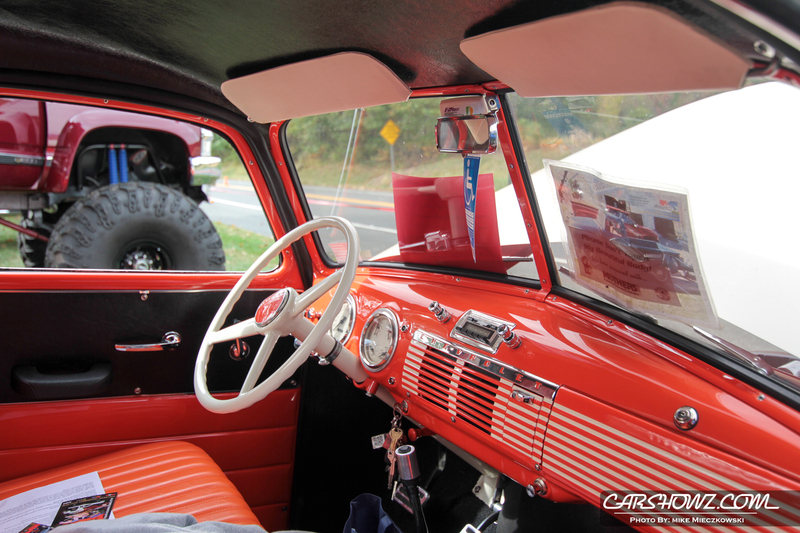 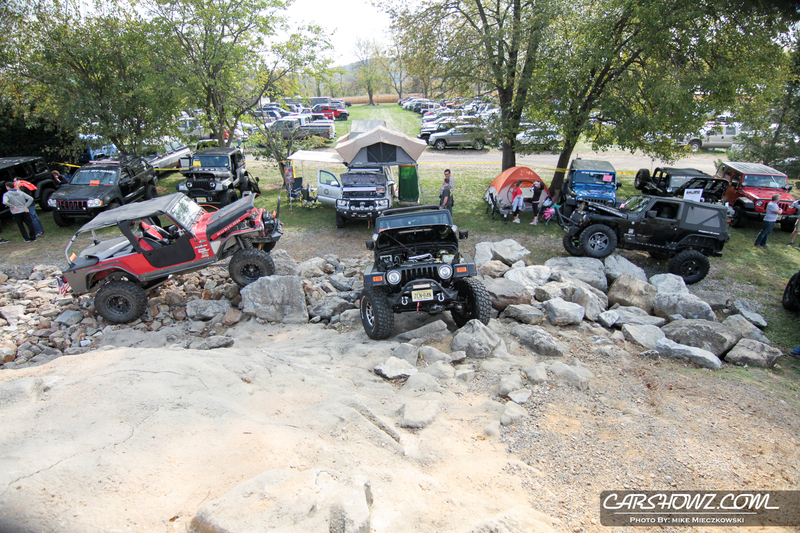 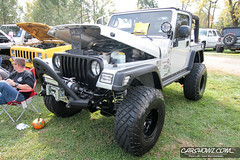 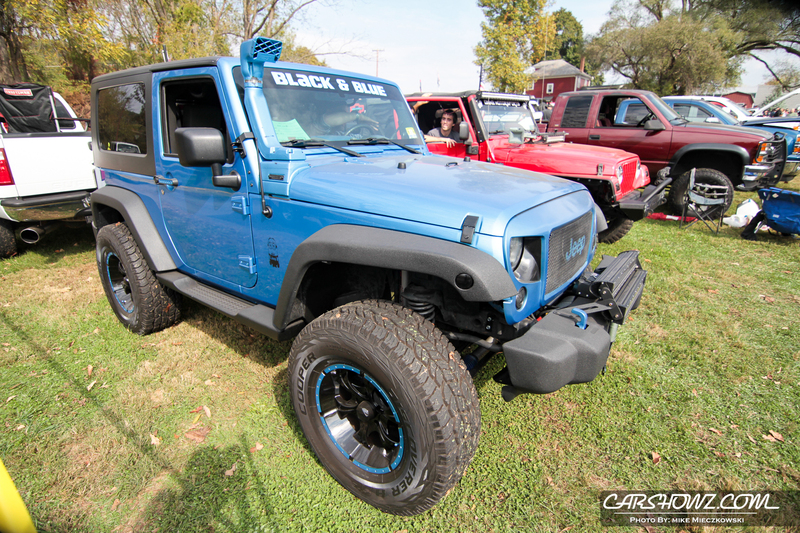 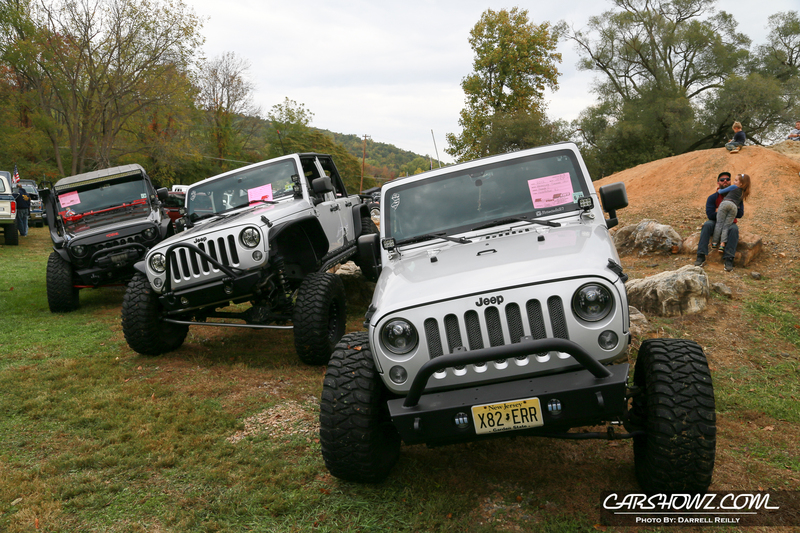 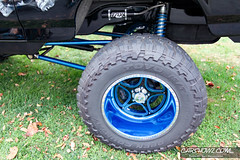 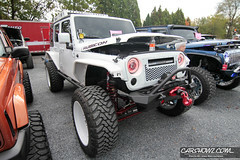 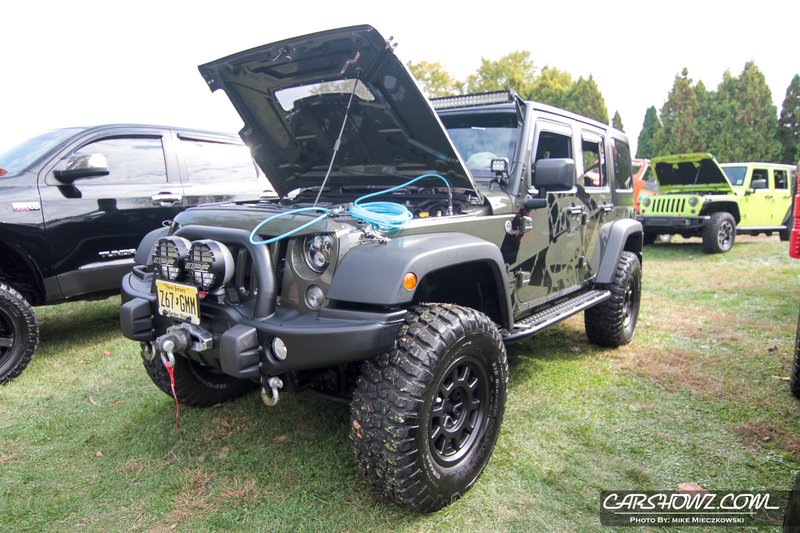 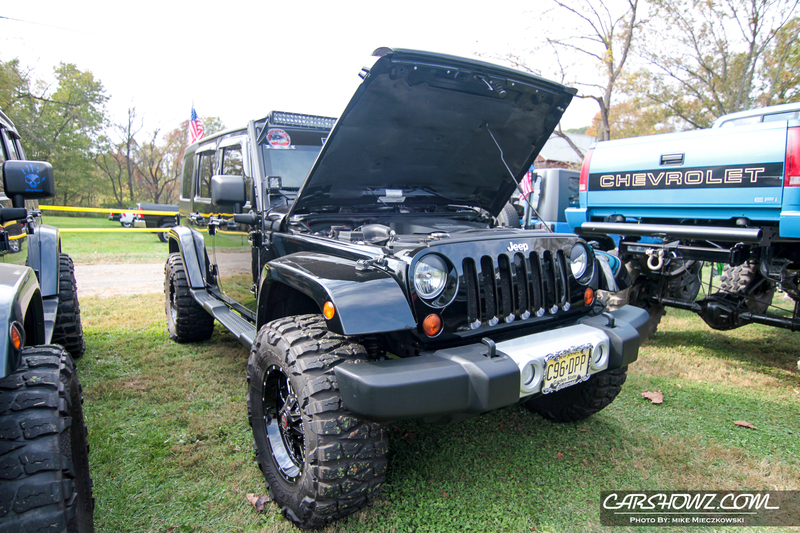 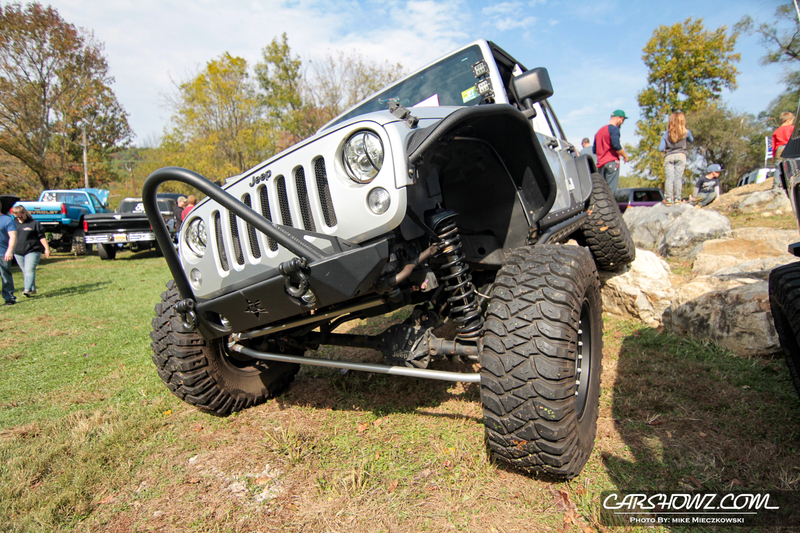 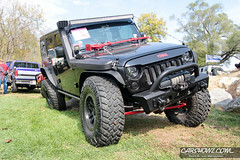 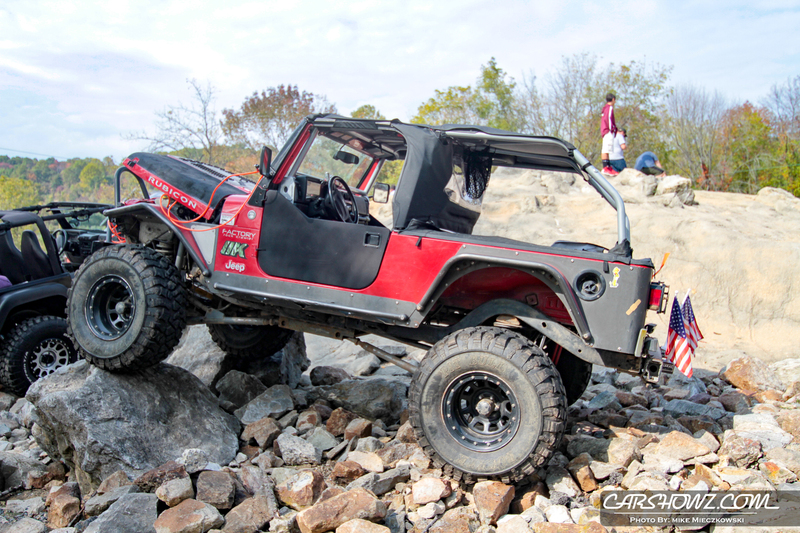 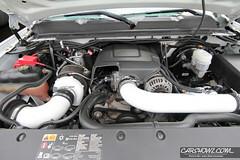 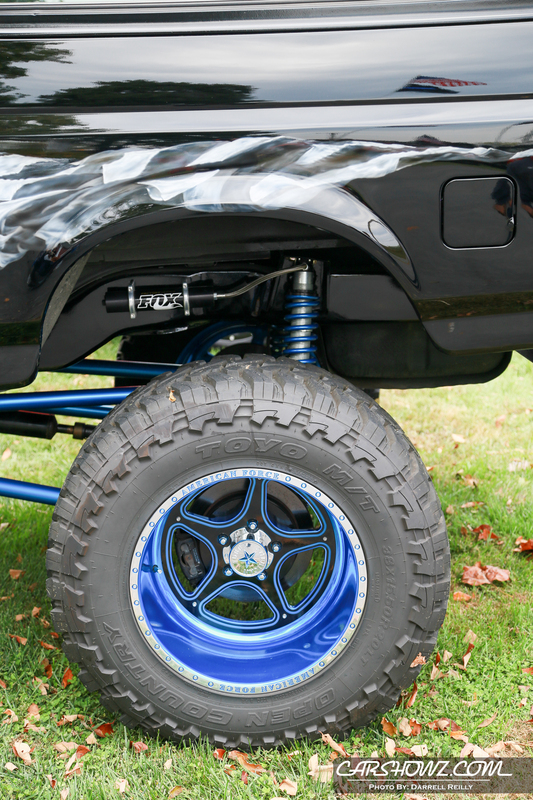 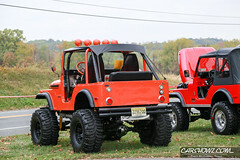 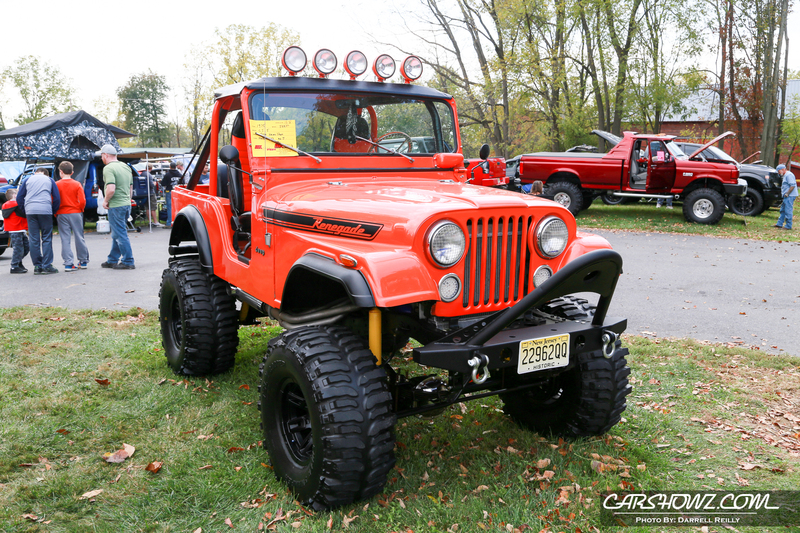 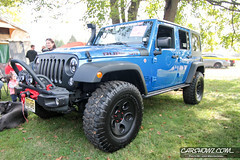 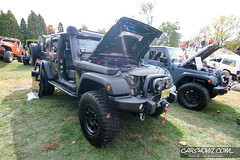 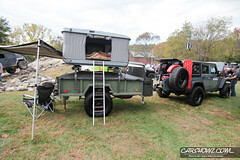 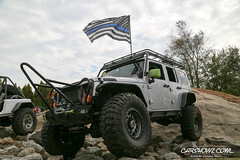 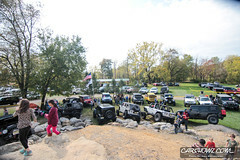 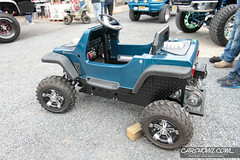 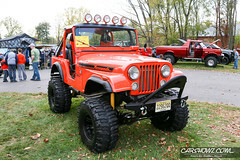 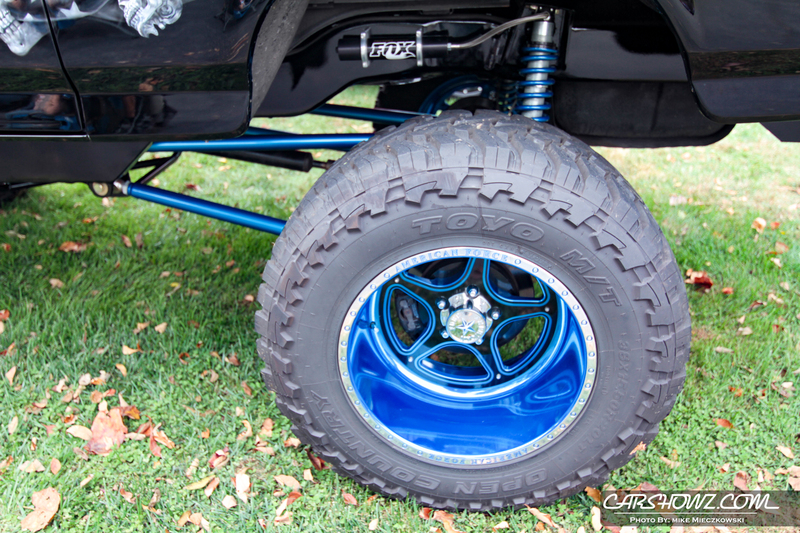 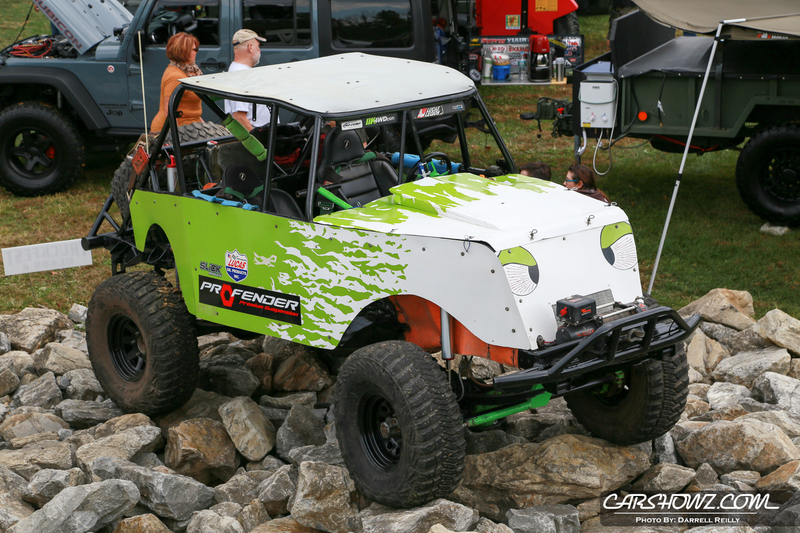 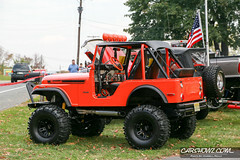 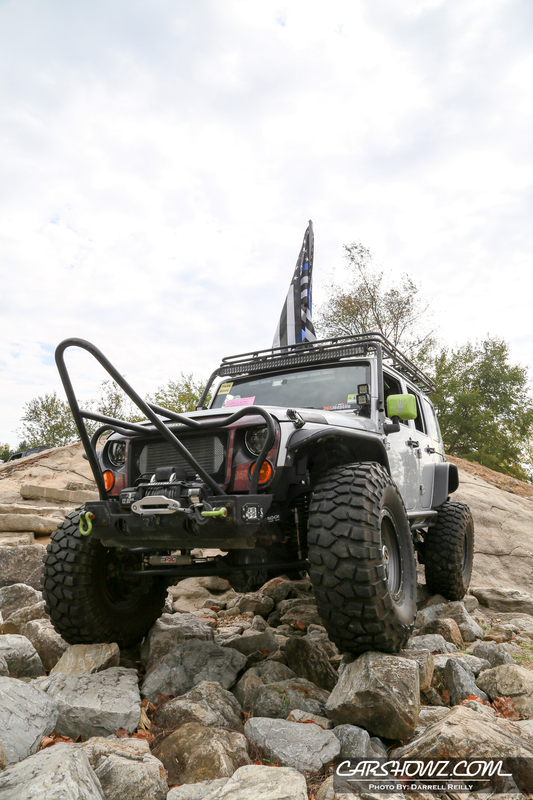 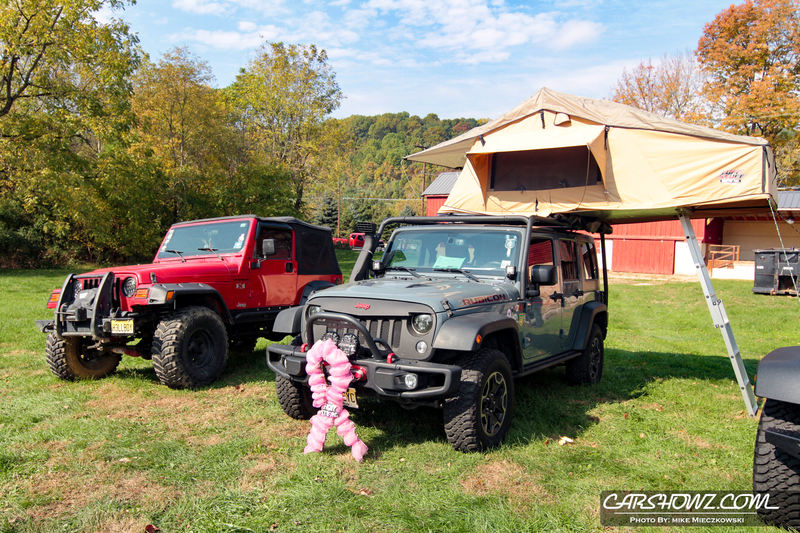 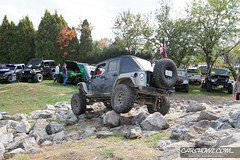 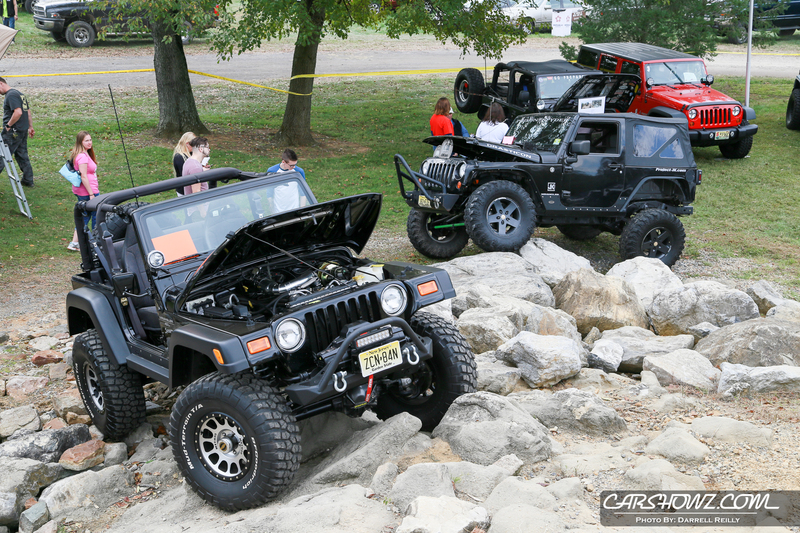 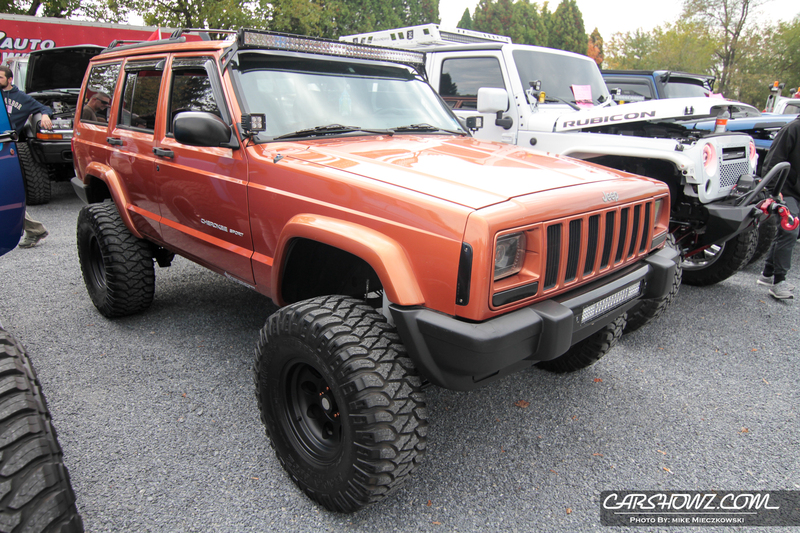 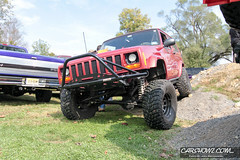 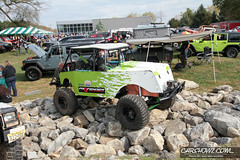 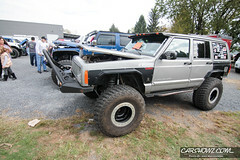 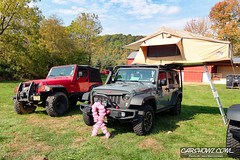 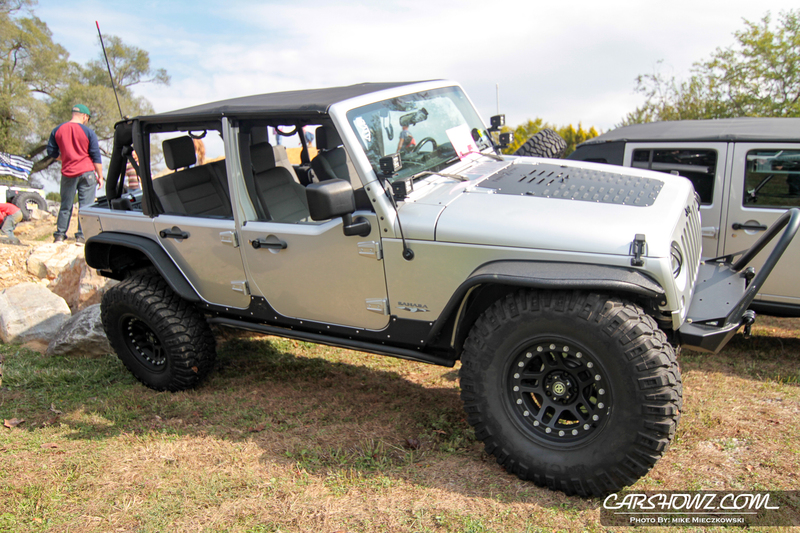 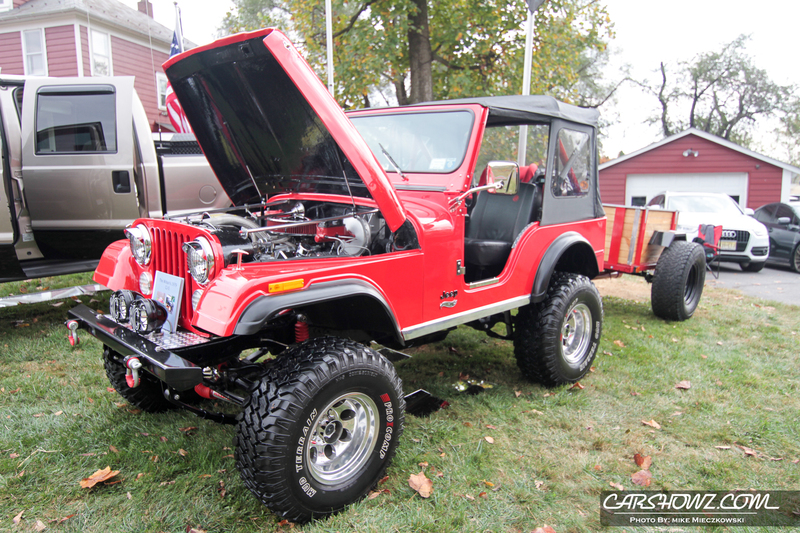 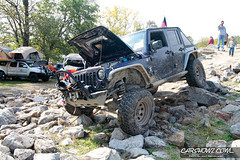 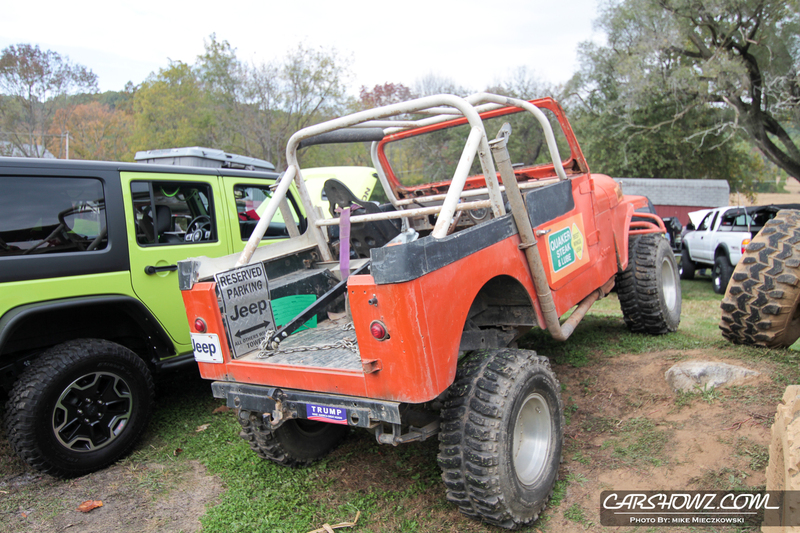 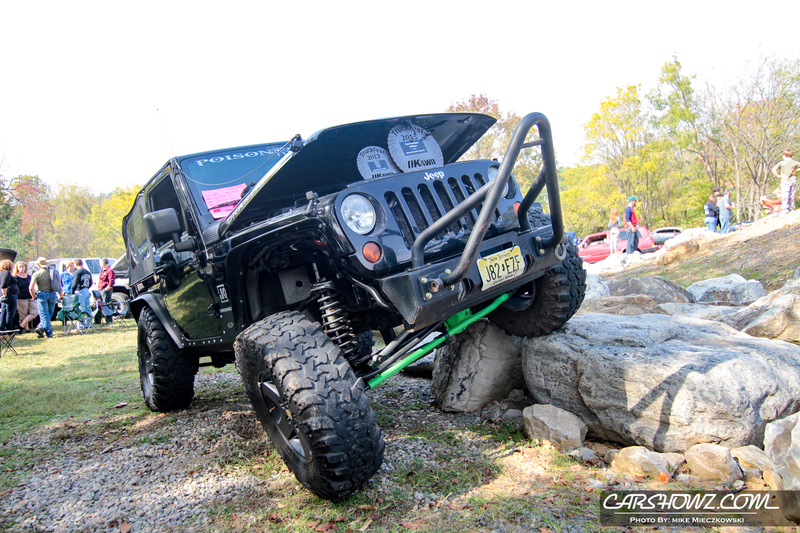 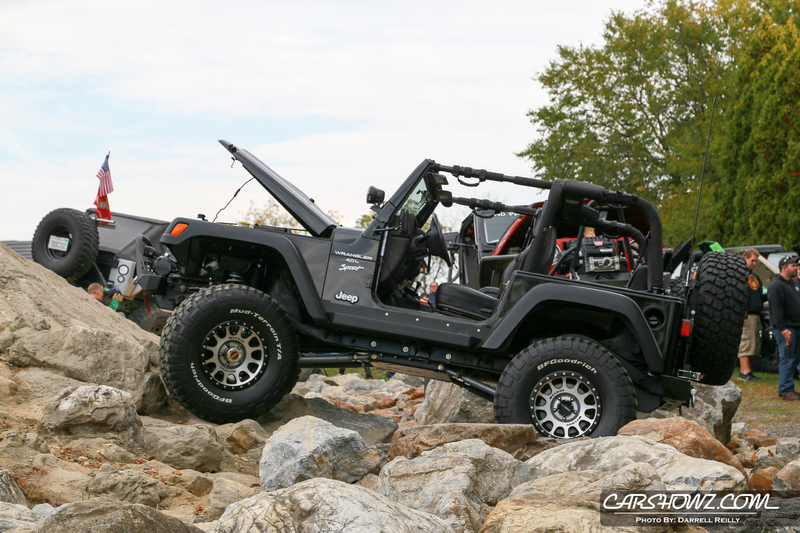 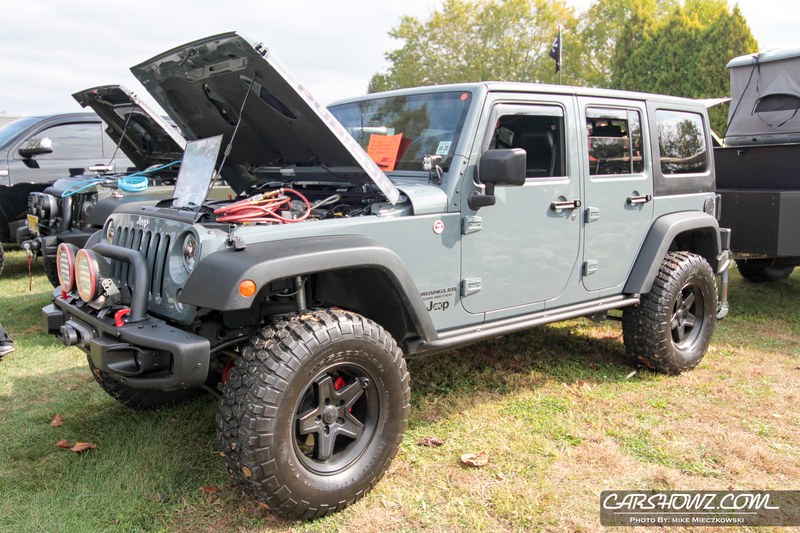 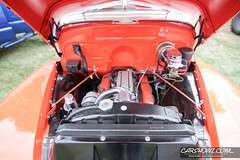 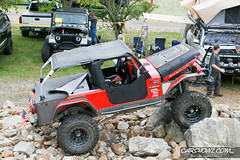 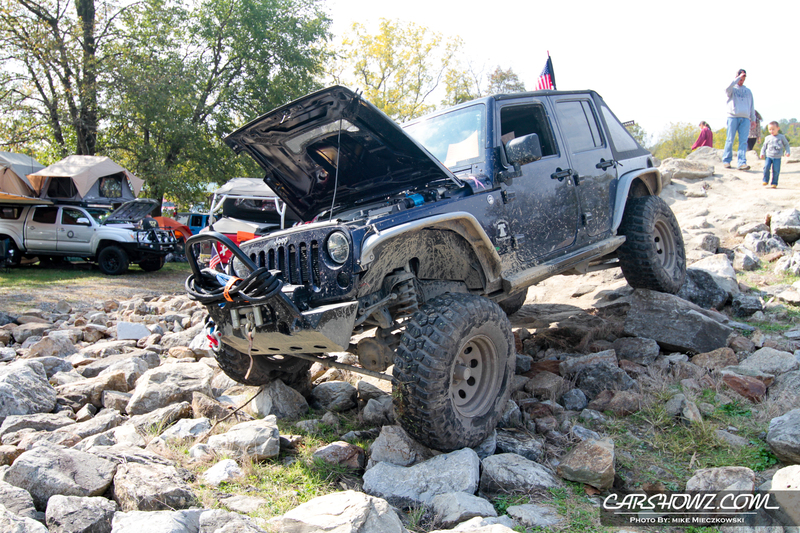 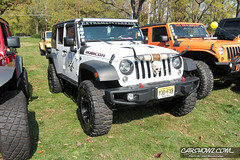 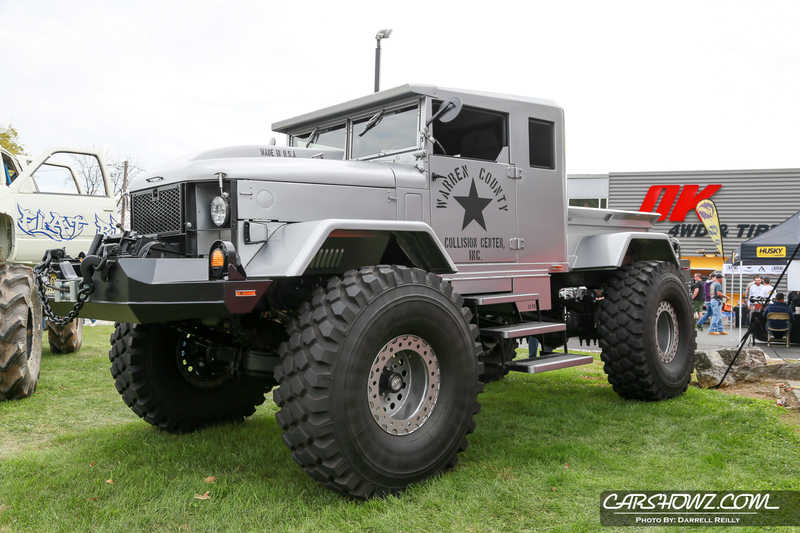 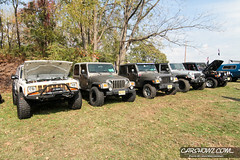 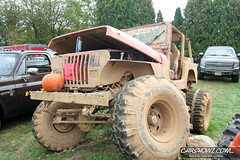 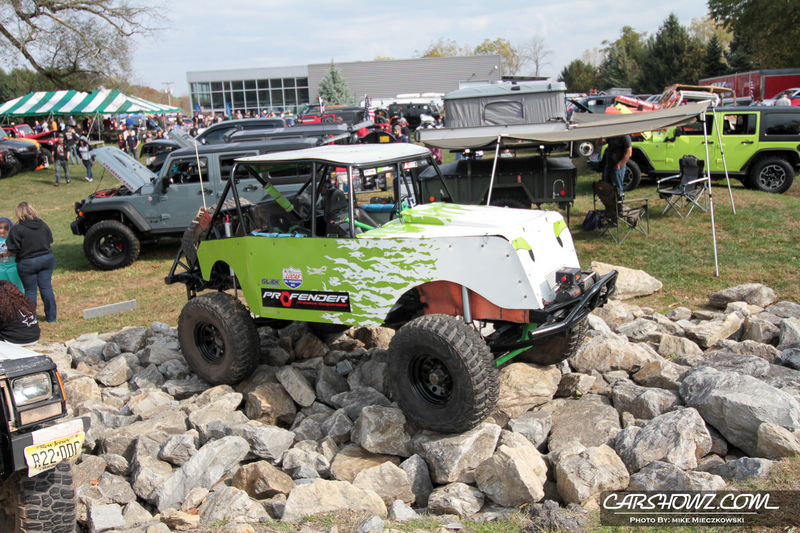 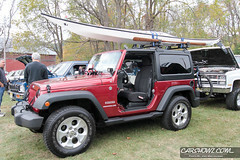 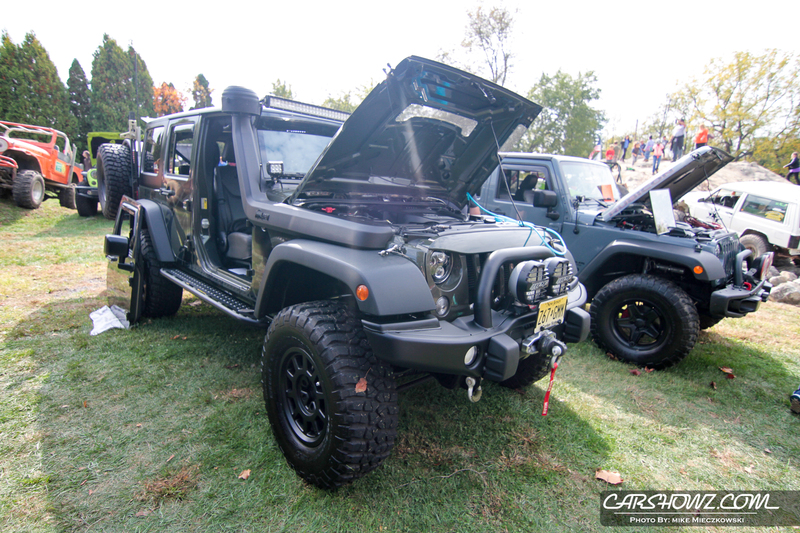 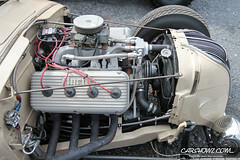 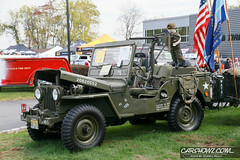 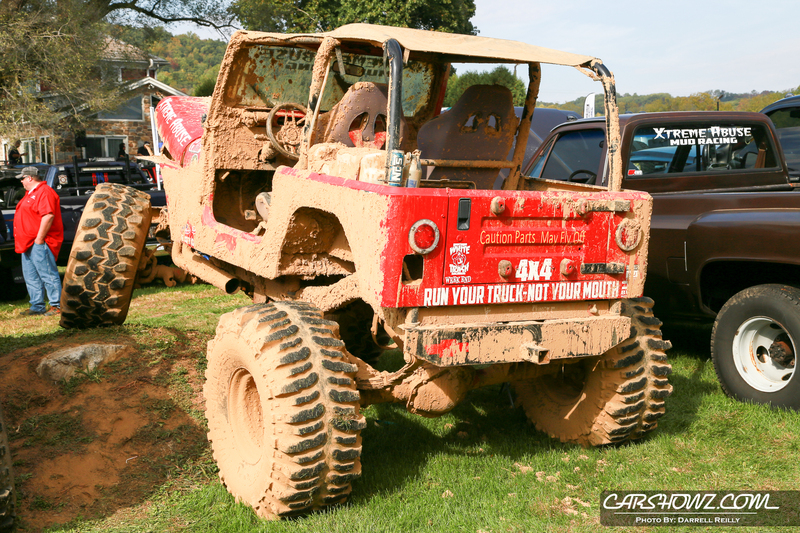 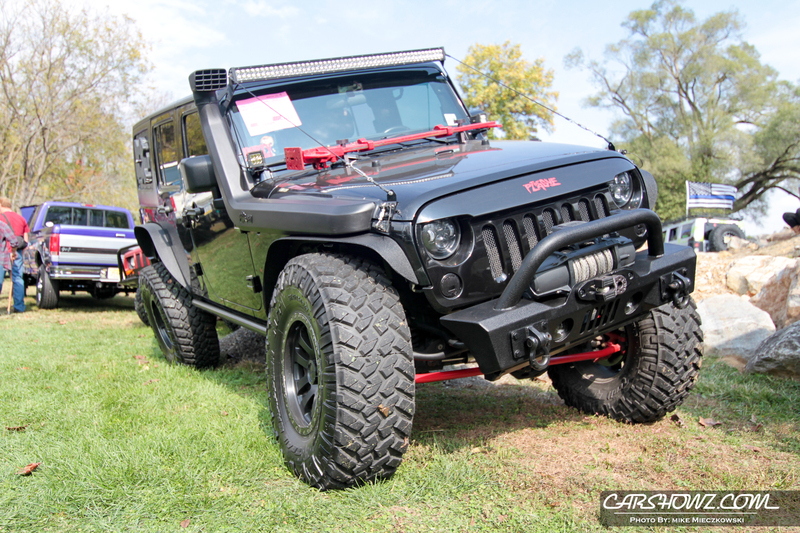 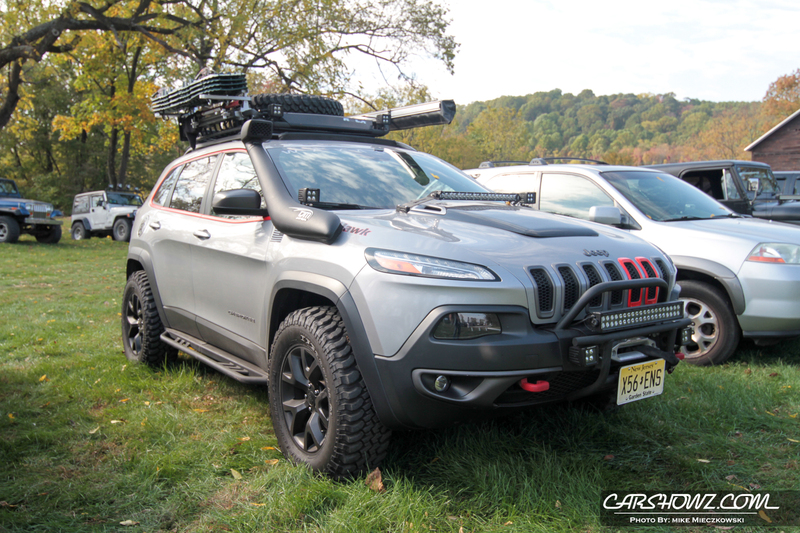 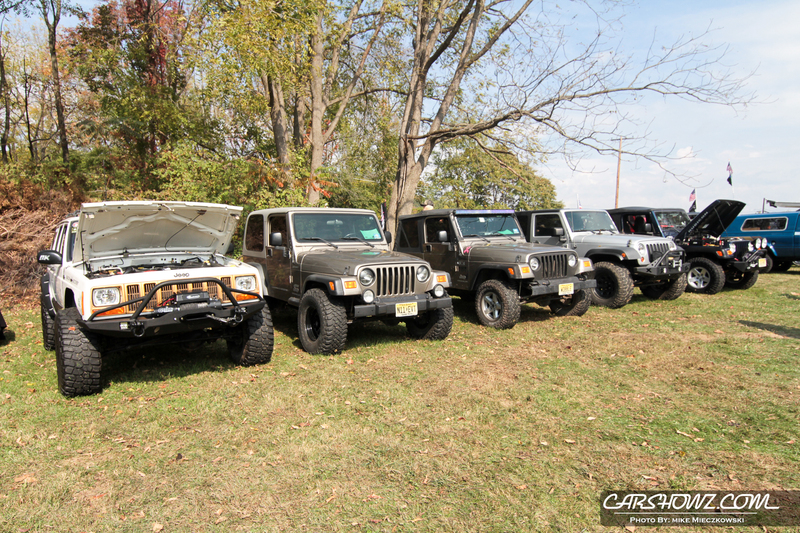 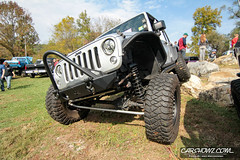 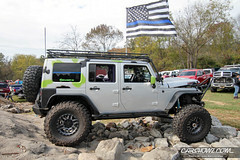 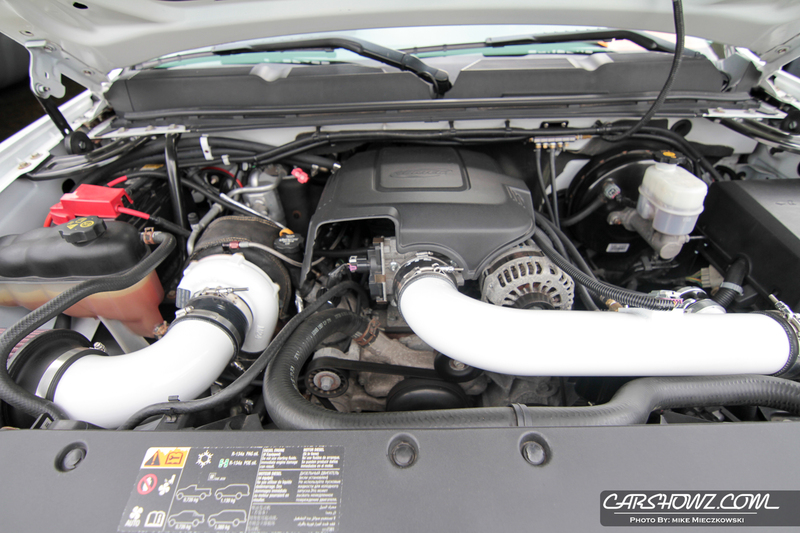 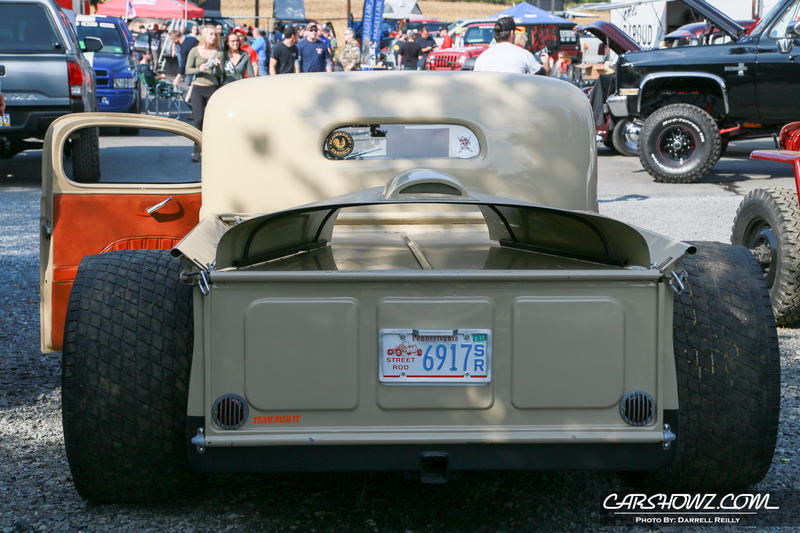 A wide variety of builds can be found including many takes on the popular Jeep lines. 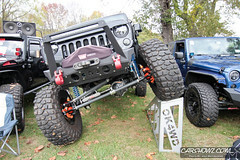 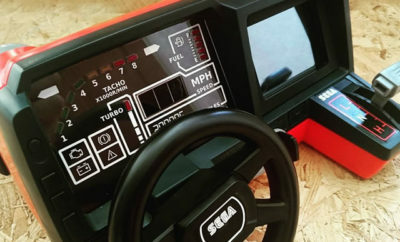 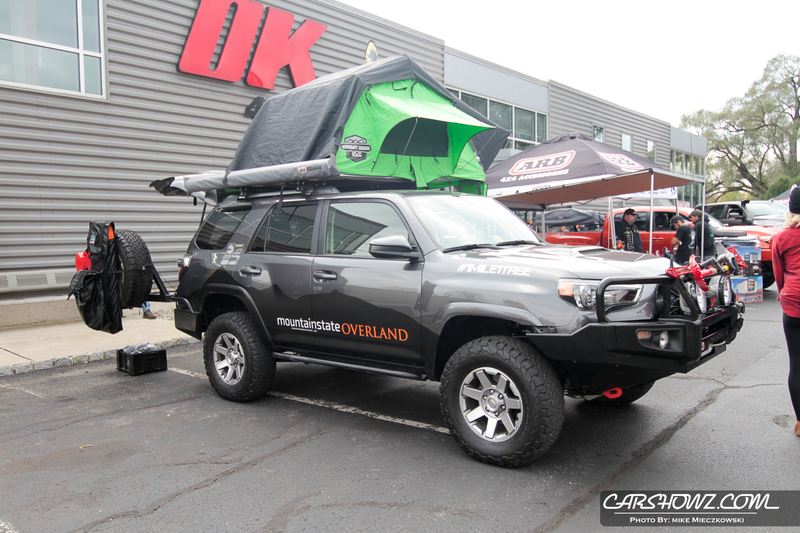 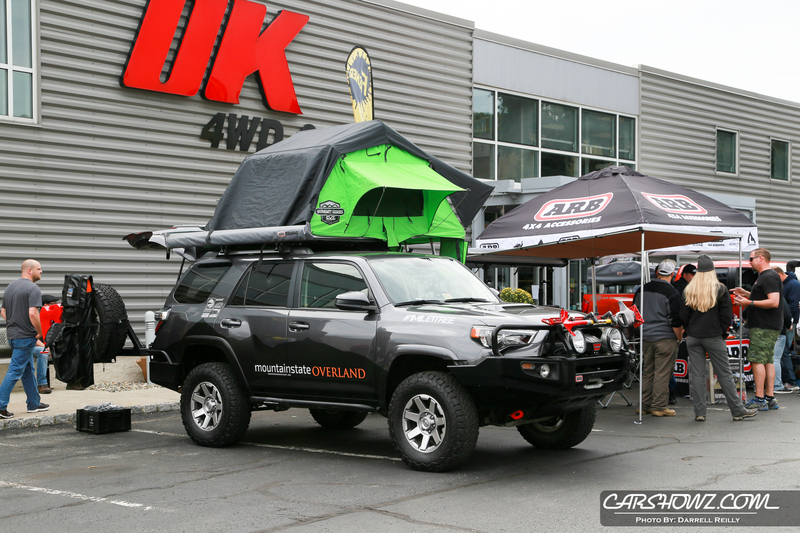 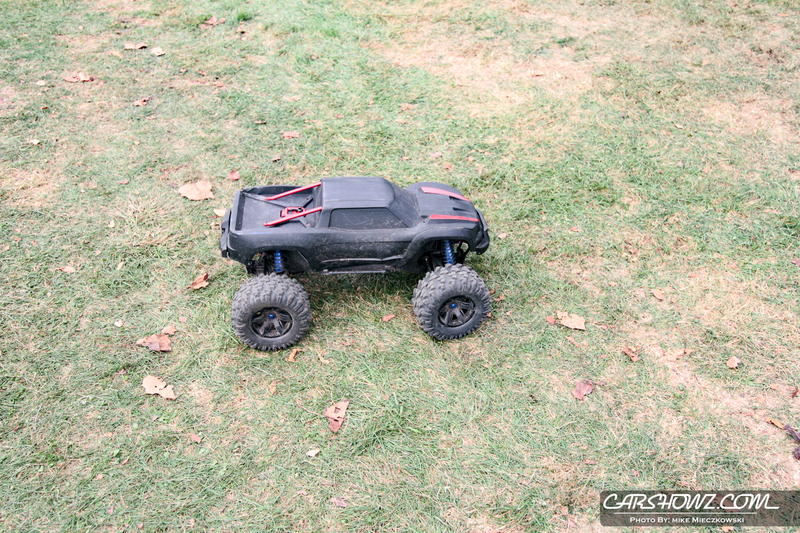 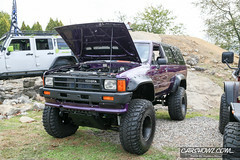 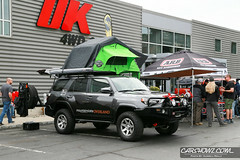 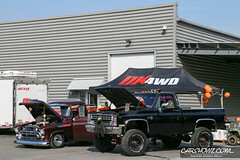 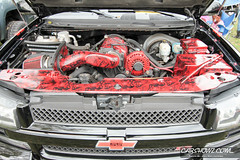 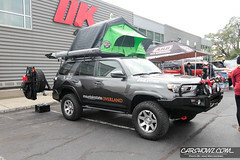 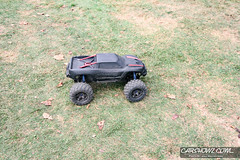 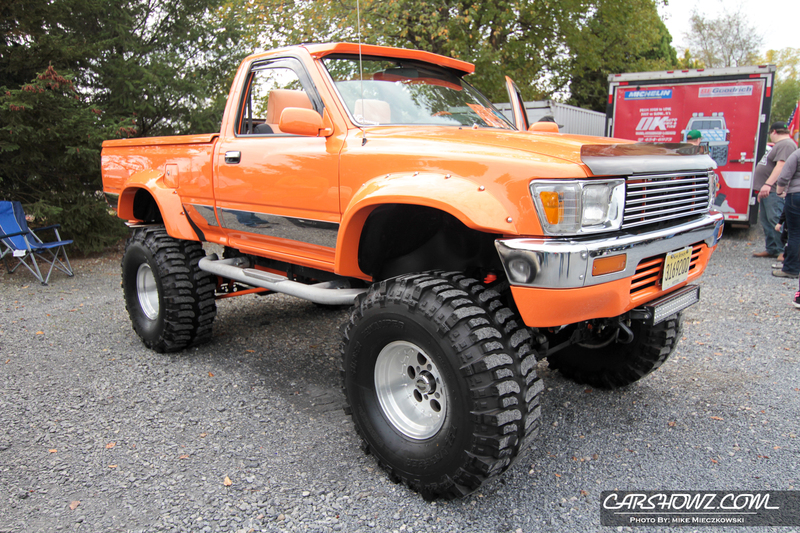 The host shop, OK4WD, is well known for their offroad builds. 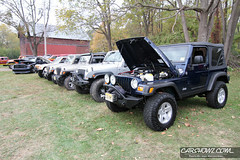 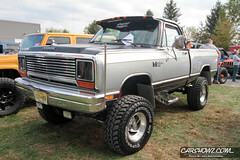 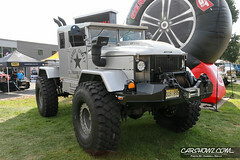 Jeep may rule the show in quantity but there was a variety of well built trucks to enjoy. 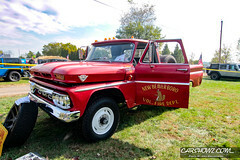 Back again was the local Fire Department taking care of the hungry show crowd with their grill setup. 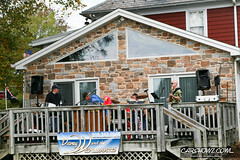 The food is always good with a decent selection. The porkroll is especially good. 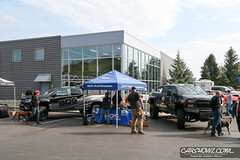 The staff is always ready to help with any questions or concerns or even just to talk about what they do at the shop. 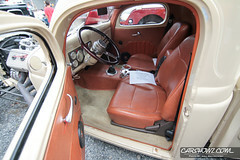 It is a very relaxed environment and everyone is up for a conversation if the mood strikes. 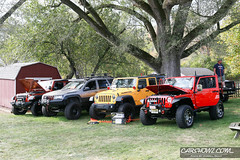 There were also event for the little ones at the show including face painting. 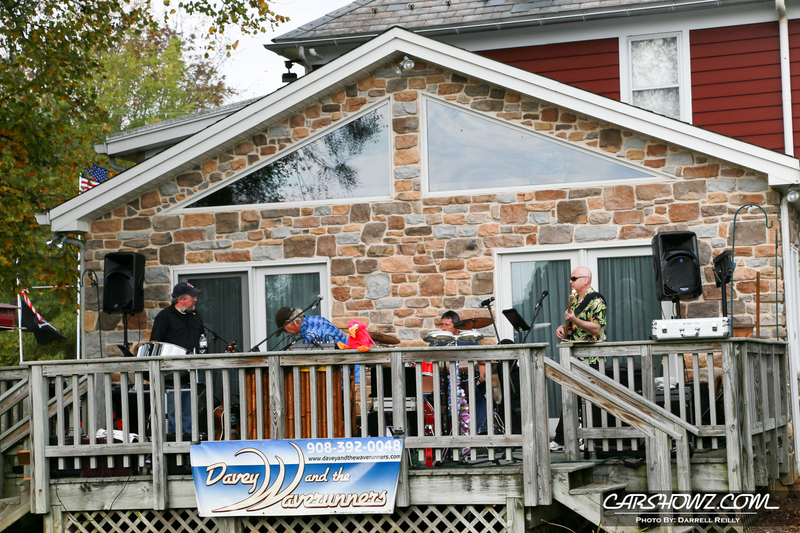 On the deck where awards are announced at the end of the show you can find live music for all to enjoy. The awards this year were custom cut plates of steel cut and bent to make pretty cool works of art. 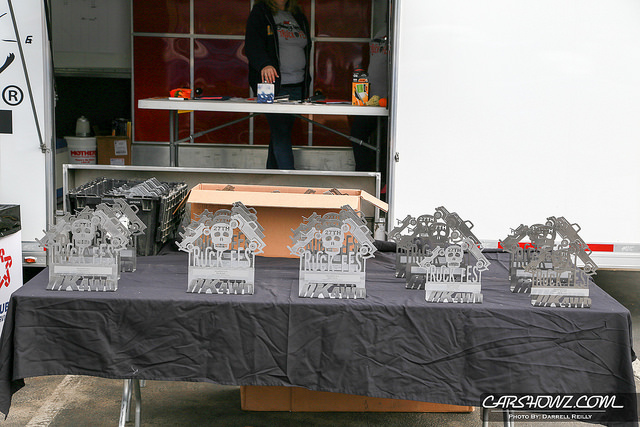 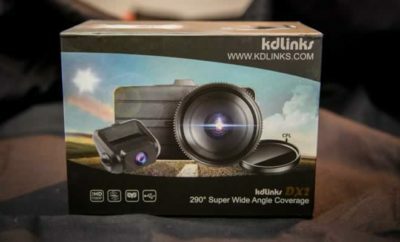 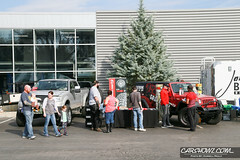 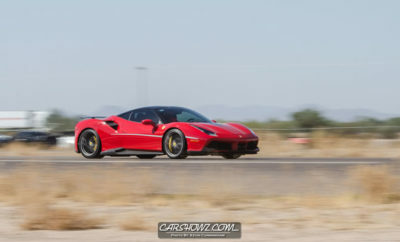 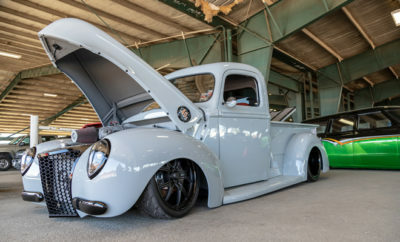 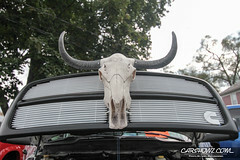 This year Carshowz had two representatives attending and showing their vehicles and both were lucky enough to take home one of these cool awards.